Black list of telescopes. Bad telescopes. What telescopes should not buy. These telescopes are not recommended for purchase! The main part of the list consists of the so-called “Newtons with corrector.” Their design uses a fast mirror of spherical shape and a small corrector lens, correcting the distortions of the main mirror. Unfortunately, the corrector does not always work well, so the image at medium and high magnification can be blurred, surrounded by highlights and halos. In principle, such a telescope can be fixed, however, it is hardly possible for a beginner amateur in astronomy. Therefore, the right choice would be a telescope with either a spherical mirror and a long tube, or with a parabolic mirror. Remember – the tube length of the Newton’s mirror telescope system is approximately equal to the focal length. If the focal length is declared 1000 mm, then the tube should be about 1000 mm long. If the tube is short, and the focal length is stated large – then there must be a corrector in it. If the telescope’s tube is short, but the focal length seems to be small — be careful anyway — you can put a spherical mirror in such telescopes. The course of the rays in a spherical and parabolic mirrors. At the same time, there are a number of telescopes of other optical systems that are equipped with an corrector, but it copes with its task. These are the telescopes of the Maksutov-Kassegren, Schmidt-Cassegrain, Maksutov-Newton, Schmidt-Newton, Klevtsov systems. Telescopes of the Maksutov-Cassegrain, Schmidt-Cassegrain and Klevtsov systems are distinguished by a short tube and a long focal length – this is normal. Such telescopes can be acquired without fear, although there is some variation in the quality of optics. There are also specialized coma correctors that are inserted into the telescope focuser. Coma is a type of aberration in which the stars at the edges of the field of view look like birds (V). Coma corrector are usually used with Newton’s high-aperture parabolic telescopes (Sky-Watcher BKP150750EQ3-2, Sky-Watcher BKP2001EQ5) either in visual or in photographic mode. An example of coma corrector is Baader MPCC II, Televue Paracorr II. The second part of the blacklist is lens achromat telescopes with high focal ratio (1:4…1:6), also called fast achromats. Lens telescopes are characterized by chromatic aberration — a colored halo surrounding bright objects (the moon, planets). The longer the focal length of the lens telescope with the same lens diameter, the weaker and smaller the chromatic halo. Fast achromates are suitable for specialized applications (observations of galaxies, nebulae, clusters with a small magnification,observation of terrestrial objects), but such telescopes are not recommended for observations of planets. Chromatism can be reduced or eliminated with a yellow light filter or special filters such as Baader Fringe Killer, but this will distort the natural color – the objects acquire a yellowish tint. For astrophotography of gas nebulae with fast achromats, the CLS filter can be useful – it cuts off purple halos, and reduces the city light pollution. Also, fast achromats are quite suitable for narrowband capturing in the line of hydrogen (H-alpha) and oxygen (OIII). Mirror and mirror-lens telescopes, as well as apochromatic refractors, haven’t chromatism. Also in the second part of the black list are telescopes of too small diameter – less than 60 mm. Yes, they will show something (craters on the moon, for example), but in fact they are “toys”. It is better to add and take a telescope with a lens of 70 mm or more. I personally encountered cases when parents came to the store with their 15-year-old son behind the telescope “no more than 50 dollars” and really wanted to buy such a toy telescope for a schoolboy. Such a telescope will generally discourage the desire to get involved in astronomy (as in the “telescope can not see anything”). Jupiter image taken through Sky-Watcher SK1201EQ5 achromatic refractor. The halo around the planet is chromatism. Celestron Powerseeker 114 EQ is a very weak mount, although the pipe is quite good in optics. I advise you to pay attention to analogues with a stronger mount – Sky-Watcher BK1149EQ2, Meade Polaris 114. Celestron NexStar 130 GT-SA – unknown, sphere in it or parabola, needs to be clarified. Celestron Astromaster 76 EQ – everything is fine with optics, but the optical tube is not in the rings – it’s very hard to watch! It is necessary to purchase fixing rings. Omegon 114/900 EQ-1 – weak mount. Orion SpaceProbe 3 – everything is fine with optics, but the optical tube is not in the rings – it’s very hard to watch! It is necessary to purchase fixing rings. Sky-Watcher BK1149EQ1 – weak mount, pay attention to Synta (Sky-Watcher) BK1149EQ2. Synta BK1149EQ1 – weak mount, it is better to pay attention to Synta (Sky-Watcher) BK1149EQ2. Tal-120 – corrector, lack of adjustment of the main mirror. Celestron Powerseeker 60 EQ – a small field of view, a purely lunar-planetary telescope. Celestron Powerseeker 80 EQ is a very weak mount, although the optical tube is quite good in optics. I advise you to pay attention to the analog with a stronger mount – Sky-Watcher BK809EQ2. Meade Polaris 80 – weak mount (tier EQ1). Optics tube is good. Sigeta Tucana 70/360 with case – fast achromat, weak mount. Sigeta Volans 70/400- fast achromat, weak mount. Veber 900/90 EK – weak mount, built-in wrap uncoated prism, incomplete coating of the objective lens. Veber PolarStar 900/90 EQ8 – weak mount, built-in wrapping uncoated prism, incomplete coating of objective lenses. Veber 900/90 AZ – weak mount, built-in wrapping uncoated prism, incompletecoating of the objective lens. Veber 700/70 AZ – weak mount, built-in wrap uncoated prism, incomplete coating of the objective lens. Veber PolarStar 700/70 AZ – weak mount, built-in wrapping uncoated prism, incomplete coating of objective lenses. Veber 700/70 EK – the built-in turning not uncoated prism. Veber 400/80 Az – a weak mount, a built-in wrap uncoated prism, incomplete coating of the objective lens, fast achromat. Veber F70060TXII in the case – a very weak mount. Veber 350/60 – fast achromat, weak mount, built-in wrapping uncoated prism. Deepsky Mak 60 – the aperture is shielded to 40 mm with a second blend on the secondary mirror. After removing the second hood, the entire aperture is working. Celestron C70 Mak is a telescope, not very suitable for astronomical observations. Veber MAK 1000/90 – telescope, for astronomical observations not very suitable. The list will be updated! Lens Barlow Levenhuk A3x – plastic body, a lens without coating, disgusting quality. Lens Barlow Sky-Watcher 3x, 1.25 ″ – a plastic case, a lens without coating, disgusting quality. Have questions? Ask! If you recently acquired a telescope, and it turned out to be from the black list, it is recommended to return it to the store and purchase another telescope from the white list. Большое спасибо Вам за ответы. у меня наверно крайний вопрос, перед покупкой первого телескопа. Скажите пожалуйста, с точки зрения универсальности и четкости изображения какой телескоп лучше? Sky-Watcher BK 1149eq2, либо Meade Polaris 114? кстати, у Meade более интересная комплектация в части окуляров. данное условие не является определяющим, больше интересуют качественные характеристики. Большое спасибо! По четкости – одинаково, т.к. оптика в телескопах с одного завода. По комплектации – да, Meade поинтереснее будет, т.к. сразу 3 окуляра идут. Также искатель лучше у Meade. Ну и быстросъемное крепление трубы также в плюс. Скажите пожалуйста, есть ли возможность на Meade Polaris 114 доустановить систему автоматической наводки на объекты? что это может быть за система? Увы, нет – Goto на этой монтировке не предусмотрено. Даже если использовать систему типа EQDream, всё равно требуется полноценная червячная ось по оси склонений – она на данной монтировке с ограничением. В принципе, после успешной установки полярной оси можно наводиться на объекты по координатным кругам. Координаты объектов можно брать из Stellarium. Единственное, что можно сделать – установить на монтировку часовой привод. Доброго времени суток. подскажите приобрел телескоп Levenhuk Skyline 130х900 EQ. хотелось бы докупить еще несколько окуляров и линзу барлоу. Здравствуйте. Я бы взял 32 мм плессл 1.25 в качестве обзорного (можно с алиэкспресса http://ali.pub/283dk4). Для планет можно взять 4.5 или 5 мм (например, Celestron X-Cell LX 5 мм, на али он тоже есть). 7.5 мм на этом телескопе будет не слишком востребован, т.к по планетам с ним увеличение слишком мало, а по туманностям слишком велико. Искатель – классический Sky-Watcher 6×30 или 8х50 (но он намного тяжелее), плюс нужна площадка под искатель. По планетам самое ходовое увеличение будет около 200…215х. Дальше уже ухудшение картинки, а детали новые не добавляются. 230..260х можно использовать по Луне. А какой окуляр в паре с барлоу будет лучше для планет, чтобы было увеличением 200-215х? Для 2х Барлоу надо 9 мм окуляр, тогда будет 200х. Для 215х – 2х Барлоу и 8.3 мм окуляр. Можно взять обычный плёссл 9..10 мм и 2х Барлоу. Либо взять сразу Celestron X-Cel LX 5 мм (на самом деле он 4.5 мм). А для туманностей что лучше прикупитт? Для туманностей самые ходовые окуляры на вашем телескопе будут 15 и 24 мм. По ярким туманностям, ярким скоплениям и галактикам можно использовать 15 мм, по более тусклым и протяженным объектам – 24 мм. В качестве 24…25 мм окуляра можно взять или обычный плёссл, или Celestron X-Cel LX 25 мм – у него очень хорошая коррекция собственных искажений. Для Луны рекомендую использовать нейтральный серый фильтр (не зеленый!). Я бы взял комплект – всё же меньше стекла при наблюдениях. 8,3мм окуляр 1,25 какой фирмы лучше взять? С вашим телескопом и линзой Барлоу они будут хорошо работать. Но лично я не советую даже связываться с такими телескопами. Ищите классику – Sky-Watcher BK 1149eq2, либо Meade Polaris 114.
подскажите пожалуйста еще по следующим моделям, есть ли их смысл брать, как универсальный аппарат? Так же у Вас в перечне находится следующий аппарат Synta BK 1149EQ1 с пометкой, что слабая монтировка. насколько слабая, насколько критично это? на чем скажется данный недочет? что можно предпринять, чтобы не было последствий недочетов? Скажите пожалуйста, насколько хороша оптика? По телескопам – из этой троицы я бы ничего не брал, но из них трёх самый нормальный – Bresser Mars Explorer 70/700 NG AZ. Про 1149EQ1 – монтировка настолько слабая, что телескоп сильно качается от любого ветерка или прикосновения, делая наблюдения на больших увеличениях пыткой. Поможет только замена монтировки (хотя бы EQ2, на которой идет BK1149EQ2, а еще лучше EQ3-2). С оптикой всё в порядке, зеркало обеспечивает высококачественное изображение на всем диапазоне полезных увеличений (до 224х). По планета лучше ставить не более 160х. Здравствуйте, Руслан! У меня свежий, дилетантский вопрос… Пришли мои окуляры с Али-экспресса, 32 мм и переменник 8-24. решил испытать по Юпитеру. В 32 мм виден диск и три спутника. Но в остальные окуляры, при увеличении кратности, просто не фокусируется картинка. Я перед этим снимал вторичку, грешил. что настроил плохо. Но днем проверил по солнцу, все окуляры отлично показали пятно. Я думаю, что Юпитер просто был очень низко над горизонтом? В этом причина? Здравствуйте. При небольшой высоте над горизонтом запросто может быть мыльная картинка. Можете проверить окуляры по звездам на горизонте и в зените – сразу будет видна разница. У меня Юпитер до высоты 20 градусов показывает еле-еле две полосы, после 20 градусов происходит скачок качества изображения. Разумеется, у меня тут свой астроклимат, однако чем меньше высота объекта над горизонтом, тем меньше вероятность поймать спокойную атмосферу. В чем разница трубы системы Ричи-Кретьена и, скажем, Шмидта-Кассегрена? Что в РК стоят две параболы, а в ШК – сфера, понятно. Но какая разница для пользователя в цене и эксплуатации? Если брать отдельно монтировку и трубу, какую трубу брать предпочтительнее и по какой причине? РК имеет смысл от 300 мм и более. РК обладает большим центральным экранированием. У ШК любит потеть корректор, надо грелку или бленду. На РК тоже надо чем-то вторичку обогревать. Выбор трубы зависит от задач. При апертурах менее 300 мм смысла брать РК нет. Например, труба 20 см. РК стоит 48 тыс (http://tele-optics.ru/product/teleskop-levenhuk-ra-200rc-f8-carbon-ota/) и дает f/8, а 150 см. МК от Селестрона – 57 тыс (http://tele-optics.ru/product/truba-opticheskaja-sky-watcher-bk-mak150sp-ota/) и f/11. Вторичное зеркало у РК 90 мм, то есть получается свет собирается с 200*200-90*90 = 31800 мм2, что эквивалент 178 мм. чистой (!) апертуры против 150 мм у Селестрона (не считая минус отражающее зеркало). Получается и по цене лучше и по светосиле. И, как я понимаю, в открытой трубе РК термостабилизация быстрее. Или я чего-то не догоняю? Да, термостаб быстрее. Однако для астрофото надо еще обязательно полеспрямитель. Для астрофото дипов рулит светосильный Ньютон + хороший корректор комы. Про точность изготовления двух гипербол вообще молчу, очень стремная лоторея, а по планетам еще бьет большое экранирование. Здравствуйте. Я в интернет-магазине наткнулся на телескоп Celestron AstroMaster 130 EQ-MD, потом выяснил, что он в черном списке. Но на сайте заявлено, что это телескоп Ньютона с параболическим зеркалом! Я смотрел в магазине “телескопчик”. Здравствуйте, Руслан! Спасибо! Статью прочитал. Буду действовать. Результат напишу. С уважением. Шевченко Андрей. Добрый день, Руслан! Это Шевченко Андрей из Ростова-на-Дону. Давно Вам не писал, но за все ваши ответы благодарен Вам. Вот и сейчас нужна помощь, ваша подсказка. Мне попался на настройку и юстировку телескоп-рефлектор Meade 114/1000 astro. Он конечно простенький и не самый лучший вариант, но какой есть. Хочу провести его юстировку. Монтировку обслужил, отрегулировал, смазал, настроил. Трубу привел в порядок, вычистил (даже паутина была внутри). Сейчас все супер. Осталось провести юстировку. Сделал бы и сам, поскольку умею и знаю, как это сделать. Однако у него корректор. Я разбирал фокусировочный узел полностью, прочистил, вытащил корректор, почистил. Состоит из двух линз и кольцо между ними. Подскажите, пожалуйста, Руслан, юстировку же надо проводить без корректора? Она же по сути та же линза Барлоу. Реальное фокусное расстояние у этого ГЗ 500мм. Они сделали его 1000мм. Просто с корректором ничего не увидишь в чешир. Думаю, что я не ошибаюсь. Снимаю корректор, провожу юстировку вторички, юстировку ГЗ, корректор назад. Я правильно мыслю, Руслан? Подскажите, пожалуйста. С уважением. Андрей. Добрый день. Такие телескопы лучше юстировать по звезде, в сборе с корректором. В принципе, первичную установку диагонального зеркала можно сделать с чеширом – важно, чтобы были видны лапки главного зеркала в отражении диагонального. Добрый день. Телескоп отличный. Подойдет для визуальных наблюдений, для астрофото планет\Луны, а также начального астрофото туманностей. Из плюсов – компактность при большой апертуре, устойчивая монтировка и простое управление. Из минусов – труба требует очень бережного отношения, т.к. переднее стекло-корректор хрупкое. Обязательно нужна бленда-противоросник, желательно еще и ленту-грелку купить на корректор. Труба несъемная – закреплена в монтировке. Советую глянуть в сторону Celestron 9.25 Nexstar Evo или Nexstar 8 Evo. Возможно, есть смысл даже взять 8 Evo – при небольшой разнице в апертуре у него короче и легче труба, плюс у Evo труба съемная. Не покупайте Celestron Powerseeker 50 TTAZ. Хотел использовать как гид на 130мм-вом, но отказался! Изображения в поле зрения хуже любого бинокля в сто раз. Сразу обратил внимание- “объектив” 50мм задиафрагмирован до 35мм и всё равно жуткий хроматизм. После разборки обнаружил голимую двояковыпуклую линзу, ни разу не склейку и без просветления! В детстве мы такими лупами на фанерках картинки выжигали. Для гида такой телескоп не очень – светосила низкая (f\10). Обычный искатель 8х50 под гид неплох. Похоже, Celestron совсем халтуру стал делать. Спасибо за информацию. Мне понравилась модель телескопа Bresser Messier AR-152S/760 (EXOS-2/EQ5) — светосильный ахромат и вот увидел его в Вашем списке, а что с ним не так, не подскажите? Здравствуйте. У него сильный хроматизм. Для астрофото туманностей подойдет только с CLS, UHC-S или узкополосными фильтрами (H-alpha, OIII). Для наблюдения туманностей хорош. По планетам – лучше взять менее светосильный линзовый телескоп, либо зеркальный, либо зеркально-линзовый. Здравствуйте, хочу подобрать себе свой первый телескоп. Цель – наблюдение объектов дальнего космоса, требования – компактность. Хотелось чтобы телескоп помещался или в рюкзак или в небольшую сумку, чтобы удобно было перевозить его на велике (или перетянуть в парк недалеко от дома). В идеале хотелось бы мак, но в обзорах и отзывах все пишут что он затемняет и замутняет картинку в сравнении с теми же рефракторами. Помогите выбрать из этого или предложите свой вариант примерно в этой же ценовой категории. Спасибо. Здравствуйте. Можно посмотреть в сторону 1025AZ3 – он не такой громоздкий, как 1206, да и монтировка лучше его потащит. В сумку\рюкзак вполне влезет. Мак 102 по светопропусканию ближе к 80 мм рефрактору, по дипам он будет однозначно хуже, чем 102 мм ахромат. Omni XLT 130 вполне интересен, но он громоздкий – длина трубы около 60 см, диаметр около 14-15 см. Под него надо объемную сумку или большой рюкзак. Аналогично дела обстоят с 130650, однако у него еще противовес надо тащить. По яркости картинки 102 мм ахромат достаточно близок к 130 мм ньютону – проверял лично. Хотя, конечно, дипы в 102 не прям ах, если сравнивать со 200 мм и более, но видно много интересного. Итого: если будете брать 1025AZ3, призму 45 гр лучше сразу заменить на диагональное зеркало, иначе шею сломать можно). 1.25 или 2″ – это уже на ваше усмотрение. Если нужны сверхмалые увеличения и большие поля – тогда 2″. Если нет, то можно и 1.25 обойтись. Также труба может заваливаться, если навести слишком высоко. Нужна перебалансировка или противовес спереди. Здравствуйте, Руслан! Посоветуйте пожалуйста, какой механизм можно приладить к Meade Polaris 114 мм? Хочется попробовать астрофотографию. На Али есть моторчики, но какой из них лучше для этой монтировки? Он дороже, но сразу откалиброван под правильную скорость, лучше механика, ну и дольше работает от батареек. Можно подпаяться к кнопкам и сделать порт автогида. Но лично мне он не понравился. Нужно подбирать скорость, механика не очень, а также питание от кроны 9В. Единственный плюс – цена. Здравствуйте, рекламируют школьный телескоп Юпитер 900 ОР-202. Утверждается, что он имеет линзы из стекла, а не из пластика, несмотря на невысокую цену. Здравствуйте. Не советую. Диаметр 60 мм, при большом фокусном расстоянии, сложно получить низкое увеличение. Советую смотреть в сторону Sky-Watcher BK707AZ2, BK705AZ2, либо Meade Infinity 70. Подойдёт ли данная модель для новичка и не разочарует ли она его? Какие плюсы и минусы данного телескопа помимо растяжек. Добрый вечер! Извините, не сразу ответил, был на наблюдениях Луны. Для наблюдений с балкона и двора я рекомендую присмотреться к рефракторам – Sky-Watcher BK909EQ2, например. Если только для балкона – можно взять Sky-Watcher BK 90 Mak EQ1 – он очень легкий и компактный. Для наблюдений со двора можно примотреться к моделям Sky-Watcher BK1149EQ2, либо BKP13065EQ2. BK1309EQ2(тот же Levenhuk, но чуть дешевле) – в принципе, тоже неплохой, но труба более громоздкая. А какой будет лучше для наблюдения за городом? И левенчук, якак понял, вариант для первого телескопа будет не очень удобен? За городом, разумеется, лучше брать телескоп максимальной апертуры. Однако с практической точки зрения удобнее рефрактор – он простой в использовании, неприхотливый, не требует юстировки и идет сразу с хорошим искателем. Я бы взял или рефрактор BK909EQ2, или рефлектор Sky-Watcher BKP13065EQ2. А если рассматривать Sky-Watcher BK 90 Mak EQ1 для наблюдения за городом? Или же все таки посоветуете те которые были выше? Увы, всё же мак 90 по дипам так себе – эквивалентен 75 мм рефрактору из-за светопотерь. Можно еще глянуть BK 102 Mak EQ2, но он уже дороже, но и картинка заметно ярче, чем в Мак 90.
ну Тоесть все таки для новичка и загорода рассмотреть линзовый телескоп нежели заркальный. 809 все же меньше будет по диаметру. 909 лучше. На левенгук накрутка больше, в магазинах 4г стараются продавать именно эту марку. Его будет хватать для наблюдений за дальним космосом и планетами? Да, вполне. Понятно, что больший диаметр покажет картинку более яркую, однако следует учитывать и другие факторы. В принципе, с юстировкой нет особых сложностей, ее можно освоить. Но если всё же выбирать, то между BK909EQ2 и BKP13065EQ2. В качестве первого телескопа BK909EQ2 – хороший выбор, так как в комплекте сразу идет хороший искатель, а оптика телескопа не нуждается в юстировке. К минусам отнесу хроматизм (небольшой синий ореол вокруг ярких объектов), но в глаза он не особо бросается, а со слабым желтым фильтром вообще устраняется. Также BK909EQ2 без проблем дружит с зеркальными камерами – есть резьба на выходе и возможность сфокусироваться. Картинка с диагональным зеркалом прямая (неперевернутая), но отраженная вертикально. Окуляр находится сзади. К плюсам BK1149EQ2 отнесу отсуствие хроматизма, чуть большую апертуру (и немножко лучше детализация). По яркости картинки примерно сравним с BK909EQ2. С зеркальными камерами BK1149EQ2 не дружит с зеркальной камерой по умолчанию – нужна линза Барлоу с Т-адаптером, снижающая светосилу и увеличивающая фокусное расстояние. Искатель в комплекте хуже. Зеркала надо периодически юстировать и раз в несколько лет мыть. Окуляр находится спереди трубы сбоку. В остальном оба телескопа хороши. Я бы взял BK909EQ2 в качестве первого телескопа, но если принципиально отсутствие хроматизма – можно и в сторону BK1149EQ2 посмотреть. А если 909 рассмотреть на монтировке az3? AZ3 попроще, однако труба будет заваливаться, если наводить телескоп выше 50-60 градусов. Кроме того, нет вомзожности моторизации, моторчик к ней не прилепить. Кроме того, к BK909AZ3 может быть с призмой 45 градусов – ее лучше сразу заменить на зеркало 90 градусов. А какие аксессуары рекомендуете купить для 909го? И какой фирмы будут лучше? Моё мнение, конечно, далеко не “новичка”. Пообщался немного с новичком. В общем, новичку лучше брать что-то вроде SW Mak180 F/15. Причины? Новичка сразу отталкивает невозможность посмотреть планеты в нормальном качестве. Конечно, это не какой-нибудь Долл-Кирхэм Ф/20, но уже вполне хорошенькая картинка, на увеличении х100 будет очень даже приятной. Поставив мыльненькое разрешение х250, можно рассмотреть побольше. Разумеется, монтя должна быть правильной. Итого, порядка 2000 за телескоп новичка, думаю хорошее приобретение. Компромисс между “ничего не видно” и “ведёрко МИАДЕ за 3600”. Что толку от телескопа, в который не видно Марс как толстенькую горошину? Мак 180 F\15 – весьма специфический аппарат. Поле зрения небольшое – по дипскаю будут сложности с получением низких увеличений. Плюс долгая термостабилизация. По планетам – аналогичный ШК 203 будет не хуже. Лоторея что там, что там. Толк есть от любого качественного телескопа – важно не грезить мечтами о планетах размером с мяч или расглядыванием вулканов на Ио. Я в 30 мм подзорную трубу, разогнанную до 60х, видел и кольца Сатурна, и полосы на Юпитере. Поэтому когда люди начинают говорить, что всё, что меньше 200 мм – не телескоп, это вызывает у меня только улыбку. Подскажите пожалуйста, какой телескоп внуку 13 лет купить в пределах 10000! Буду очень благодарна. Здравствуйте! Могу посоветовать Meade Infinity 70. Легкий, компактный, простой в использовании. Здравствуйте. Даже не думайте. Нужный мениск с индивидуальным изготовлением обойдеся намного дороже, чем готовый параболический Ньютон. Что-то я посмотрел на нормальный сегмент, который по идее должен находиться над начальным и средне-начальным сегментами. И как-то выбора особо даже нету. Есть Celestron CPC Deluxe 1100 HD Computerized Telescope, есть Meade Instruments LX90-ACF 12-Inch (f/10) Advanced Coma-Free. Вообще выбирать не из чего и информации по сути ноль. И это даже не полупро сегмент, где полметровые телескопы ставятся в гараже. В этом ценовом диапазоне Шмидт-Кассегрен на экваториальной монтировке (например, Celestron CGEM II 1100) – пожалуй, наиболее универсальный инструмент. Однако для астрофото дипскаев больше подходит светосильный (f\4-f\5) ньютон на экваториальной монтировке с хорошим корректором комы. Телескопы на моторизированных монтировках подходят для визуальных наблюдений и астрофото планет\Луны\Солнца, и из-за вращения поля есть ограничение длительности съемки одного видеоролика – около 2 минут. Для астрофото дипскаев с этими телескопами нужен или экваториальный клин, или деротатор, или вообще другая монтировка. Добрый день! Подскажите выбираю телескоп для мужа увлекает его это, но телескопа никогда в семье не было, конечно хочется оптимальное в соотношении цена-качество. Celestron NexStar 90 GT или Meade Infinity 90mm? Или может быть что то иное в пределах до 20тр? Заранее спастбо! Здравствуйте! Celestron Nexstar 90 GT будет, конечно, поинтереснее – сразу моторы есть. По устойчивости – 90 GT достаточно трясуч и стабильной картинки от него не следует ждать. От прикосновений, ветра, фокусировки картинка будет прыгать на больших и средних увеличениях. Хорошо, что есть пульт. Meade Infinity 90 будет более стабильный, тренога у него крепче, да и в использовании он попроще – не нужны ни батарейки, ни электроника, сама труба короче на 30 см. Если важна компактность – подумайте насчет Infinity 90. Если хочется жужжалки и электронику – тогда 90 GT. Мак 90 хорош по планетам и Луне. По слабым объектам (галактики, туманности, скопления) рефрактор будет лучше. 2)если планируется серьезное астрофото с длительными выдержками, желательно взять отдельную монтировку типа EQ6. 3)можно купить только трубу и самому сделать простую монтировку добсона из дерева. Здравствуйте! Хотела спросить, Levenhuk LabZZ MTВ3 и Levenhuk LabZZ T3 Plus 175x – это одно и то же? или разное? и если разное, то какое у вас мнение о Levenhuk LabZZ T3 Plus 175x ? Здравствуйте. Нет, это разные наборы. Levenhuk LabZZ MTВ3 – набор из 50 мм телескопа, микроскопа и бинокля. Если честно, они больше “игрушечные”. Телескоп Levenhuk LabZZ T3 – диаметр 60 мм. Если честно – лучше добавить немного и взять Sky-Watcher BK705AZ2, BK707AZ2, либо Meade Infinity 70. Добрый вечер, Руслан! Это Шевченко Андрей из Ростова-на-Дону. Я писал Вам по неисправности нашего телескопа Celestron Nexstar 130 Slt, который выдает ошибки 16 и 17 при включении питания. Так вот, техники у меня на работе проверили, что смогли. А именно установили, что питание от 8 батареек, которые у меня стоят 12,6 вольт (нормально), разъем для подключения пульта на монтировке исправен (прозвонили). Так же проверили сервоприводы. тоже все оба рабочие, без замечаний. Остается, собственно, СБОЙ ПРОГРАММЫ на монтировке. Так как сразу три!!! пульта не могут быть неисправными. Руслан, нужна ваша помощь! Я нашел инструкцию по прошивке пульта и монтировки Nexstar. Все там вроде бы понятно. Однако, в инструкции ссылаются на адрес http://www.celestron.com/c3/downloads.php , где можно скачать программы HCupdate и MCupdate. Так вот на этом сайте Celestron нет программы для монтировки, есть только для пульта. Руслан, может быть Вы мне поможете? Может у Вас есть такая программа, или более конкретный и точный адрес, где можно такую инструкцию найти? Знаю, что у Вас большой опыт работы с телескопом Celestron Nexstar 8 se, поэтому очень надеюсь, что Вы сможете чем-то помочь. Вообщем, надо перепрошить (установить) программу на монтировку SLT. Спасибо заранее! С уважением. Добрый вечер. Похоже, что проблема в микроконтроллере монтировки. Если же пульт старой версии (без +), то надо и HCupdate, и MCupdate. Я прошивал как-то пульт SLT старой версии, без проблем всё прошло. Но монтировку не пробовал прошивать. Спасибо, Руслан за помощь и оперативный ответ!))) Завтра на работе с нашим компьютерщиком постараемся найти инструкцию и программы. Ну и перепрошить пульт и монти. Есть подозрение, что пульт старой версии бех +. Обязательно отпишусь потом. С уважением. Андрей Ш.
В старых пультах под дисплеем есть надпись Nexstar, под ней комета такая нарисована. Если там звёздочка, то это старая версия. Если плюс, то новая. Кроме того, в новых пультах на кнопке 1 написано SOLAR SYSTEM, на старой версии – буква М.
Здравствуйте, Руслан! Это Шевченко Андрей из Ростова-на-Дону. Давно не писал Вам! Нужна помощь! Нам в клуб любителей астрономии недавно одна женщина подарила телескоп CelestronNexstar 130 Slt. Все бы хорошо. С трубой действительно все хорошо, ГЗ и вторичка в отличном состоянии! Однако женщина предупредила, что неисправен пульт. Я проверил, пульт исправен. Тем более проверил со своим пультом от 6 se. При включении питания на экране дисплея появляется надпись “NoResponse 16”, иногда “NoResponse 17”. Сервера не реагируют. Кнопки на пульте не реагируют, вверх/вниз и влево/вправо тоже не реагируют. Что это за неисправность? Может Вы знаете, Руслан? Писал на сайт компании “4 Глаза”, задавал тот же вопрос. Позвонил, сказали, что информацией по кодам неисправностей не располагают. (((( Руслан, может Вы поможете? Что за неисправность? Может у Вас есть коды неисправностей? Я планирую устранить неисправность самостоятельно. Возможно это сбой программы монтировки и ее надо прошивать. Правда, боюсь, как бы это не оказалась неисправность приводов (серводвигателей)!!! Как Вы думаете, Руслан, можно монтировку реанимировать? С уважением. Андрей. This error indicates that the hand control is unable to communicate with another system component, for example, 16 and 17 are the motor control processors located inside the mount. One source for this error is faulty power, either low voltage (weak batteries) or a loose connector. Read this for suggestions regarding power. Попробуйте запитать от нормального сетевого блока. Спасибо, Руслан, за ответ!!! Отправил повторно вопрос, так как днем что-то не получалось у меня с отправкой. Попробую питание, если не поможет, то займусь перепрошивкой. Инструкция имеется. Спасибо Большой. Рад был с Вами пообщаться. Результат напишу в ближайшее время. С уважением. Андрей Шевченко. Здравствуйте, Руслан! Рад снова выйти с Вам на связь! Надеюсь, что у Вас все хорошо! Судя по активной переписке, все так и есть! Это Шевченко Андрей из Ростова-на-Дону. У меня к Вам вопрос. Нам в клуб недавно отдали телескоп бесплатно Celestron Nexstar 130 Slt. Труба в очень приличном состоянии, главное, что ГЗ и вторичка в отличном. Все остальное настроил. Но проблема с монтировкой, Руслан! Хозяйка говорила, что не работает пульт. Я проверил. Пульт совершенно рабочий. У меня есть еще один пульт. Пробовал и с ним. Результат один: при включении питания на дисплее пульта появляется надпись “No Response 16”. Иногда “No Response 17”. Но чаще первый вариант. Все это при включении питания. Никакие другие кнопки не реагируют. Кнопками вверх/вниз и влево/вправо повернуть трубу не удается. Сервера не реагируют. Батарейки свежие. Руслан, подскажите, если можете, что это может означать? И можно ли как-то самостоятельно устранить эту неисправность? Писал на сайт Celestron, задавал тот же вопрос. Предлагают звонить в сервисный центр. Пока не звонил, но думаю, что максимум предложат сдать в ремонт. Думаю, что коды ошибок они не дадут! Руслан, может у Вас есть информация по кодам неисправностей? Но если честно, есть у меня боязнь, что это неисправность серверов приводов. Вообщем, надеюсь на вашу помощь! С уважением. Андрей. Я не так давно писал про свое приобретение в виде мака 90 под другой статьей. Я проштудировал форумы в поисках дополнительной инфы о своем телескопе и у меня создалось впечатление, что я, простите, лоханулся с выбором. Я хочу наблюдать все и сразу при минимальных габаритах телескопа, я посчитал мак хорошим вариантом. То, что по планетам он хорошо себя показывает, я не сомневаюсь, меня дипы волнуют больше. Люди заявляют, что этот мак слишком темный и вообще я в него даже ярких скоплений не увижу. Как владелец такого же телескопа, скажите мне, что он может показать из дипов? Мне его до сих пор не удалось протестировать, но хочется примерно знать, чего ожидать. Привет! Да, по Луне и планетам этот телескоп неплох. В принципе, весь каталог Мессье в такой телескоп реально увидеть, но для дипов лучше использовать окуляры с фокусом от 40 до 25 мм. Яркие дипы (М42, М31, М13, М57, М27 и т.д.) я в него смотрел – показывает. Но ожидать вау-эффекта точно не следует – по дипам веселье начинается где-то с 200 мм и более. Я был в восторге, когда нашел в свой бинокль 20х50 шаровики М2 и М15 в месте с уровнем засветки ~7. Да, от звёзд они ничем не отличались, хотя по краям чуть-чуть искрились, но все же для меня это было уже круто. Думаю то, что меня впечатлит то, что я смогу увидеть в телескоп. Пишу именно под этой статьей из-за одной бредовой идеи, которую породила моя голова: взять дудку 102/600 от meade чисто для того, чтобы смотреть на дипы. Оно ведь того не стоит? Я на темном небе сравнивал трубу Mak 90 и Celestron 102\660. Оно и понятно – апертура чуть больше и минус 2 зеркала (каждое кушает по 12-14% света). Плюс сложности с получением низких увеличений. Если честно, после 90 мм мака есть смысл переходить на 150 мм и более. Хотел купить короткофокусный рефрактор, как вторую трубу, но смысла в этом почти нет, как я понял. Удачи и ясного неба вам! Здравствуйте. Что можете сказать про Meade LX-75 8″? Монтировка класса Sky-Watcher EQ5 (Celestron CG-5). Труба хорошая, с встроенной коррекцией комы (ACF). За схожие деньги я бы взял Celestron Advanced VX 8″ S.
Как он за цену 420€? Такое ощущение что цены на телескопы стали расти в последний октябре, особенно на МАКи..
130650AZGT достаточно хлипкий, монтировка тащит эту трубу на пределе, тряска даже от легкого прикосновения. Посмотрите еще Celestron 127 SLT. Труба такая же как у BK P15075? Здравствуйте. Достаточно противоречивый вариант. Фокусер 1.25, толстые растяжки, нет юстировки главного зеркала. Зеркало должно быть параболическое. Здравствуйте. До 20 тыс можно взять Meade Infinity 90. Он достаточно компактен, простой в использовании, подойдет для балкона. Если подороже, то смотреть в сторону Sky-Watcher Star Discovery MAK127 SynScan GOTO (http://star-optics.ru/product/teleskop-sky-watcher-star-discovery-mak127-synscan-goto/), либо небольших Шмидтов типа Celestron Nexstar 5 SE. Я так понимаю, что принципиальное отличие Sky-Watcher BK MAK127 AZGT SynScan GOTO и Sky-Watcher Star Discovery MAK127 SynScan GOTO только в монтировке. В обоих случаях азимутальная с приводом. Но на последнюю. можно “повесить” более тяжелый прибор. В таком случае вопрос. Есть ли разница в трубе, и там и там MAK 127? Да, всё верно – у Discovery монтировка другого типа. По оптике трубы абсолютно идентичны. Добрый день. По оптике лучше будет Sky-Watcher Heritage-130p Flextube – у него парабола, но кострукция весьма хлипкая. Sky-Watcher Explorer 130 (EQ-2) тоже неплох, но у него толстые растяжки на диагональном зеркале. У Sky-Watcher Skyhawk 1145P большой разброс качества оптики. У меня самого такая труба, я доволен, но другие владельцы жаловались на оптику. Celestron Inspire 70mm AZ – по оптике неплохой, но есть небольшой хроматизм, да и диаметр поменьше, чем у труб выше, а монтировка вообще какая-то несуразная. Добрый вечер. Подскажите, пожалуйста, какая монтировка будет лучше для synta 707, EQ1 или AZ2? Что будет устойчивее? Конкретно, выбор стоит между моделями Synta NBK707EQ1 и Sky-Watcher BK 707AZ2 за одинаковую цену. Я так понимаю, по умолчанию sky-watcher все же лучше считается? Здравствуйте. Разумеется, NBK707EQ1 поинтереснее будет, т.к. у нее микрометрические винты по двум осям. По устойчивости примерно одинаково, с небольшим перевесом в пользу EQ1. К NBK707EQ1 рекомендую докупить 6 мм окуляр (для планет, Луны), 32 мм (обзорный) и 90-градусное зеркало (оно лучше для астронаблюдений, чем призма). А что, если к списку добавить Celestron AstroMaster LT 70AZ? Немного не могу разобраться с маркировкой монтировок, но на целестроне она выглядит покрепче, стальная. И с ручкой, кажется удобнее, Чем подкова на sky-watcher. Я так понимаю, труба по сути и тут та же самая? И еще на целестроне искатель star-pointer, он вроде продвинутее оптического? Да, верно – труба по оптике такая же. Но искатель другой (еще хуже!). Star Pointer – ужасный искатель, стакливался с ним. Монтировка такого типа неудобна, если будете наводить телескоп выше 45…50 градсов – труба начнет заваливаться, если не сбалансировать ее чем-то (какой-то утяжелитель на объектив). В этом плане “подкова” (двуперьевая вилка) даже лучше. Здравствуйте. Выбираю первый телескоп. Что вы можете сказать о телескопе Celestron NexStar 90 GT ? Или все же лучше доплатить и взять Celestron Omni XLT 120? Наблюдения будут в основном с балкона и второй поместится уже с трудом. Заранее спасибо. Здравствуйте. Nexstar 90 GT – неплохой по оптике рефрактор на моторизированной монтировке с автонаведением. Конечно, при прикосновениях к трубе телескопа есть тряска, однако наблюдать вполне можно. По соотношению цена\качество – неплохой аппарат. Omni XLT 120 у меня был (не понравился заметный хроматизм, да и вес\габариты немаленькие. Omni 102 XLT был бы оптимальным вариантом, но их в наличии нет сейчас. Спасибо за оперативный ответ). Хотел бы тогда сравнить Celestron 90 gt и Sky-watcher bk mak 102 eq2. Электронная монтировка не принципиальна и размер не так важен, интересует именно качество самой трубы и выдаваемой картинки. Просто есть возможность купить их практически по одинаковой цене. Sky-watcher bk mak 102 eq2 – труба держится более устойчиво на монтировке. Качество изображения лучше, т.к. нет хроматизма. По яркости картинки 90 мм рефрактор и 102 мм мак примерно одинаковы. Однако у 90 GT весьма заманчива система автонаведения и моторов. Здравствуйте, подскажите пожалуйста. Выбираю первый телескоп в ценовом диапазоне до 14т. р.
Наблюдения далеко за городом, четко виден млечный путь и т.п. 1) sw bk 707 az 2 – неплохой вариант. Простой, легкий, компактный. Советую еще глянуть в сторону BK705AZ2 – он еще короче, либо BK705AZ3 – у него монтировка намного крепче и есть микрометрические винты по двум осям. 2) BK709EQ2 смотрел – не понравился, т.к. сложно получить низкое увеличение. Поэтому аппарат с меньшим фокусным расстоянием, большим полем зрения, но таким же диаметром будет предпочтительнее. 3), 4) celestron powerseeker 80 EQ и SW BK 1149 EQ1 очень трясучие, замучаетесь наблюдать. Апгрейдить там целиком надо треногу и голову монтировки, менять на EQ2 (а еще лучше на EQ3-2). У 1149 картинка ярче и чище, чем у 70-80 мм рефракторов, нет хроматизма (синего ореола), но изображение перевернутое. 5)светосила влияет только на яркость изображения при астрофотографии в главном фокусе. Если же взять два телескопа – 70\500 и 70\900, поставить 50х и навести на туманность\луну\планету, то яркость изображения будет одинаковой – сколько света зашло в телескоп, столько и вышло. Да, верно – безумные увеличения ставить нет смысла – предел 1.5*D..2*D.
А что насчет Synta BK P1145EQ1 в отличие от bk 1149 ? У них вроде искатели разные, светосила отличается из за параьолического зеркала. Как отразится это на картинке ?какой искатель проще ? У меня самого Sky-Watcher BKP1145EQ1, оптикой я доволен, хотя под такую трубу надо тоже хотя бы EQ2. Зеркало должно быть параболическим, но качество оптики может быть нестабильным – 1149EQ2 в этом плане предпочтительнее. Светосила выше – телескоп требовательнее к окулярам. Дешевые окуляры будут давать заметные искажения по краям поля зрения. Но это проблема не телескопа, а окуляров. Искатель желателен 6х30, его можно отдельно купить. Комплектный 5х24 хлам. Искатель с красной точкой неплох, но оптический 6х30 всё же лучше. Спасибо! Думаете возвращать не стоит? А вдруг и другая резьба сотрется? Я вот думаю, может все же изначальный брак, ведь не может за такое короткое время стереться резьба, предназначенная для постоянного использования, ведь и телескоп не из дешевых, чтобы так все ломалось? Может хоть установку поменяют, а то вдруг у нас не получится, вот тогда и они уже не примут. Но я так понимаю, что на другой телескоп они уже не поменяют(((, вот все-таки, если с чем-то определился, нельзя менять решение, я не знаю, как было бы с dob 6, но сейчас я постоянно думаю, о том, что проблем с ним не было бы. Я думаю, что Вы потратите больше времени на возню с возвратом, ожиданием и т.д. В принципе, эта регулировка широты особо и не нужна – главное, чтобы она совпадала со значением широты на шкале. Да, на другой телескоп точно замены не будет. Пришлите мне фото в Whatsapp (+79002694242), посмотрю. Добрый день! Помогите советом! Если помните, я в конце сентября спрашивала, стоит ли поменять Levenhuk Skyline 130х900 EQ на Sky-Watcher Dob 6, пока еще не прошло 2 недели со дня покупки? В общем мы не поменяли и вот прошло три недели и теперь я очень сильно об этом жалею. Кстати, во двор мы его так и не вынесли, смотрели в него с комнаты, то есть никуда не возили и лишний раз не трогали. Купили мы его 22 сентября, первую неделю из-за плохой погоды не пользовались, вторую неделю использовали, но не каждый день, короче был за все время он использован ну раз 7-8 не больше и вот вчера сломалась резьба на монтировке, в которой винт для поднятия вверх-вниз самого телескопа. Конечно расстроились мы знатно, а если учесть, что мы изначально ехали за Sky-Watcher Dob 6, но в “Четыре глаза” нас буквально настойчиво уговаривали на Levenhuk, объясняя тем, что именно монтировка лучше, чем у Dob 6, то вообще обидно. В общем позвонили мы им, они сказали, что вообще-то, они не меняют телескоп и деньги не возвращают, но пойдут на уступки и посмотрят его, а потом отправят на 45 дней на экспертизу и т. д. и т. п. Вот что делать, есть ли в данном случае возможность все же поменять его на Dob 6 или вернуть деньги, как вы считаете? Здравствуйте! А что именно с резьбой? Стёрлась? Резьба на самом винте целая? 1. Можно перенарезать резьбу под другой винт. 2. Установить широту места наблюдения на шкале и зафиксировать это положение. хочу приобрести телескоп ценой 50-100 т.р какой посоветуете???? Здравствуйте. Где будете наблюдать – со двора или балкона? Астрофото планируется? Здравствуйте, помогите пожалуйста с выбором! Что лучше приобрести с автонаведением? Здравствуйте. Лично мне по нраву Celestron nexstar 4 se – у него встроенный экваториальный клин и понятнее пульт. Помогите, пожалуйста, выбрать между Sky-Watcher BK 767AZ1 и Synta 707EQ1. Оба примерно одинаковы по цене, габаритам и апертуре. Расскажите, какие у них преимущества/недостатки относительно друг друга? Использование планируется в смешанном режиме – балкон/двор плюс редкие вылазки подальше. Хочется недлинную трубу, может быть подскажете какую-то альтернативу в этих габаритах подороже? Здравствуйте. Для балкона однозначно рефрактор. Могу посоветовать Sky-Watcher BK705AZ2, либо BK705AZ3 – они на 20 см короче, чем 707EQ1. Если еще чуть дороже – Meade Infinity 90. Рефлектор – чистая картинка без хроматизма, однако перевернутое изображение и необходимость юстировки. На балконе с рефлектором неудобно. Рефрактор – простой в использовании, хороший контраст, но хроматизм. Подходит для наземных наблюдений. А существует ли в природе удачный рефрактор с апертурой 90 и фокусным расстоянием 700? Мне кажется было бы идеальное соотношение компактности и апертуры. 700 мм (как у популярных 707/705) всё-таки кажется мало, но трубу длиной метр, (как у популярного 909го) особо не потаскаешь с собой, да и не на каждом балконе поместится. Здравствуйте. Deepsky 90/700. Можно поискать под маркой Bresser. Есть еще Meade Infinity 90, у него фокус 600. Здравствуйте, ребенок 8 лет, Живем на ДВ у Охотского моря (угол обзора звезд нестандартный), что посоветуете, для наблюдения за Солнечной системой ну и ближайших звезд, наблюдение с балкона или с двора. Интересовали рефлекторы, как менее затратные для балкона. Бинка селестрон. удалось открутить винты только на нижней призме – если поставить бинку на окуляры на второй призме винты сорваны не могу открутить да еще все хорошо залито герметиком. Юстировать как-с одной стороны винты откручивать с другой поджимать-движение призмы вбок или поворачивать призму- движение вверх-вниз? Ну, тогда остается регулировать одну призму. Попробуйте покрутить винты и посмотрите, в какую сторону смещается изображение. Добрый вечер! Спасибо за очень полезную информацию и за то, что который год тут помогаете новичкам с выбором. Хочу задать глупый вопрос, два телескопа с одинаковой апертурой, но разным фокусным расстоянием будут различаться по яркости изображения или нет? Конкретно BK705 и BK707. Ведь выходит,что у 705го больше светосила. Просто хочется понять, есть ли у 705го преимущества, кроме габаритов? С его недостатками в виде большего хроматизма вроде все понятно. Добрый вечер. При одинаковых выходных зрачках и яркость картинки будет одинаковой. Поэтому если поставить одно и то же увеличение на 705 и 707, то разницы по яркости не будет видно. Светосила влияет на яркость картинки в фокусе при астрофото. Для визуальных наблюдений светосила не принципиальна, кроме случаев уж слишком несветосильной оптики (f\15) – там сложно получить низкое увеличение. Тогда наверное лучше 707 брать, в принципе 70 см не такая уж огромная трубка. Что посоветуете из Synta NBK707EQ1 и Sky-Watcher BK 707AZ2? Какая монтировка лучше? Synta, конечно, интереснее, т.к. микрометрические винты по двум осям. Здравствуюте Руслан. Не подскажете как отъюстировать биноприставку, изображение двоится. Снял боковые крышки там каждую призму держат 6 винтов по 3 с каждой стороны.Можно ли юстировать одной призмой и каким образом? Здравствуйте. Что за биноприставка? Регулировка одной призмы смещает изображение по одному направлению (например, по горизонтали), второй призмы – по другому направлению (по вертикали). Юстировку можно выполнять по далекому фонарю или по полярной звезде, расфокусировав один из окуляров. Также возможна юстировка с лазерной указкой, но надо сделать переходник с лазера на биноприставку, посветить в переднюю часть приставки – два выходных луча должны быть параллельны. Здравствуйте. И рефрактор, и рефлектор подходят для наблюдений туманностей\галактик\скоплений. http://star-optics.ru/product/sky-watcher-bk767az1/ – хроматизма нет, хорошая картинка, однако перевернутая и надо иногда юстировать зеркала. Для балкона и наземных наблюдений не очень подходит. Простой, неприхотливый в использовании, в юстировке не нуждается, хроматизм совсем небольшой, картинка прямая зеркальная, пригоден для наземных наблюдений. Здравствуйте, подбираю телескоп для балкона, ширина которого 101см от стенки до стенки, почитав в сети разной информации заметил, что некоторые ЛА переходят на катадиоптрики, что скажите вот об этом Meade StarNavigator NG 125mm?! Здравствуйте. Не советую – большое фокусное расстояние, сложно получить низкое увеличение. Смотрите в сторону Celestron NexStar 5 SE, а еще лучше 6 SE. Спасибо, я не зря сомневался! И какое увеличение Вы использовали?! Никакое – окуляр при съемке не использовался. Да и само понятие “увеличение” к астрофотографии неприменимо. 6 SE и 8 SE конечно крутые телескопы!!! А если выбирать между МАК 90 и МАК 102, много ли я потеряю выбрав МАК 90?! В цене разница 10 тысяч! В 102 мм картинка на треть ярче, чем в 90 мм. Это весьма заметно. Для лунно-планетных наблюдений разница в детализации картинки небольшая (прирост детализации 13%), однако по дипам видно. Спасибо Вам! Единственно непонятно как делать юстировку на нём, и нужно ли её делать?! Маки обычно юстированы с завода, юстировка требуется крайне редко. На задней части телескопа 6 винтов – 3 стопорных и 3 юстировочных. Есть ли подводные камни у этих инструментов? Здравствуйте. Мак 80 не советую – большое центральное экранирование. Мак 90 хорош по Луне и планетам, по дипскаю будет хуже, чем 1149. Кроме того, 1149 сразу с монтировкой идет. Спасибо за ответ. Мы в Краснодаре брали, Levenhuk был дешевле на 2 тысячи, чем dob 6. Сами мы из Туапсе, у нас местность гористая, мы сами живём на горе, не знаю имеет ли это значение. Подскажите, так стоит поменять или нет. Брали в “Четыре глаза”. Ну, раз уже взяли, туда-сюда кататься нет смысла – на топливо больше денег потратите, ну и время. Разница по картинке между 130 и 150 мм небольшая. У Добсона свои плюсы и минусы – у него окуляр ниже находится и нет микрометрических винтов для плавного слежения, однако немного больше диаметр и устойчивее монтировка. Мы живём в частном доме. Скорее всего двор. Дело в том, что поехали мы покупать dob 6, но продавец буквально отговорила нас от него в пользу Levenhuk и теперь мучаюсь сомнениями, а вдруг dob 6 лучше. У нас есть 2 недели, может обменять Levenhuk skyline 130/900 на dob 6? Если получится конечно. Левенгук Вам продали потому, что на него наценка больше. Можно было взять Sky-Watcher с теми же характеристиками, но заметно дешевле. Обменять, конечно, можно. Можно даже вернуть деньги. В такой Левенгук я смотрел – если честно, попался какой-то дефектный экземпляр с плохой картиной. У Доба сама монтировка проще, но намного устойчивее. За объектами трубу надо подталкивать руками – на больших увеличениях это может быть неудобно, но зато стабильно. Здравствуйте. Какое место наблюдения – двор или балкон? Здравствуйте. Стою перед выбором между sw 909 az3 и Meade TerraStar 90 (там 1000 фокусное расстояние и какая-то странная монтировка DeepSky JWT-2, похожа на az3). Никогда раньше не встречал такой телескоп, у вас в списке тоже не нашел. Известен ли он вам? Если да, немогли бы вы подсказать какого качества оптика в нем, и ваше мнение на счет самого прибора. (все что мною было найдено по этому прибору – обзор, однако там ни слова о качестве оптики) Заранее спасибо. Здравствуйте. JWT – хорошая монтировка, у нее микрометрические винты без ограничений и быстросъемное крепление. Сам телескоп TerraStar 90 – клаccический рефрактор-ахромат, с картинкой проблем не должно быть. Лично мне этот телесокп больше по нраву, чем 909AZ3, но для такой монтировки я бы всё же использовал трубу покороче. Здравствуйте. В комплекте вроде Барлоу нет. По планетам будет вполне достаточно 4.5…5 мм окуляра – 3.6 мм всё же многовато будет. Для использования Барлоу надо окуляр с походящим фокусным расстоянием (15 мм для 3х Барлоу или 10 мм для 2х Барлоу). Доброго времени суток! Подскажите пожалуйста, хочу сделать ребенку подарок – выбираю между телескопами Galaxy Tracker(тот, что в детском мире продают), Levenhuk LabZZ T2 и Levenhuk LabZZ T1. Какой вариант будет более хороший? Заранее спасибо! Здравствуйте. Ответил Вам в чате, однако продублирую и тут. Не рекомендую ни первый, ни второй телескоп – лучше добавить и взять Sky-Watcher BK705AZ2, либо хотя бы Meade Ininity 60. Здравствуйте. Да, можно его взять, но надо знать о его недостатках. Добрый вечер. Что Вы скажете об этом NATIONAL GEOGRAPHIC 90/900 Refractor Telescope EQ3 ? Здравствуйте. Неплохой телескоп начального уровня. Оптика хорошая. Цена на него может бы завышена из-за “бренда”. 300 евро с пересылкой – это дорого для такого телескопа? Какой телескоп (учитывая монтировку и треногу) является самым лёгким, и одновременно мощным (~5″..6″)? Можно ли купить такой лёгкий комплект, или лучше собирать по частям (комплектные EQ явно отпадают из-за противовесов)? Лучшее что я нашёл из самых лёгких комплектов, это Celestron 127 SLT (или SkyMax 127 SupaTrak, или Celestron 5 SE). Из них и выбирать, или разумнее собрать: отдельно трубу (какую?) и отдельно азимутальную монтировку (какую)? , и к тому же лучше подходят для планет. Здравствуйте. У меня самого Celestron Omni XLT 127. Труба у него такая же, как у Celestron NexStar 5 SE. Живет он у меня на монтировке Sky-Watcher AZ3, однако если навести выше 50 градусов, труба будет заваливаться – надо или противовес делать, или другую монтировку использовать, или не наблюдать высокие объекты.Сама труба заметно легче и короче, чем аналогичная у Mak 127, остывает быстрее. Пользуюсь комплектом 127 XLT + AZ3 уже целое лето, вполне неплохо (кроме высокорасположенных объектов). Такая труба будет хорошо держаться на Vixen Porta II, только определиться с распложением искателя на трубе. В данном случае Sky-Watcher Explorer-130P/650 Parabolic лучше – растяжки тонкие, труба короткая. У 1145 всё же разброс качества оптики больше. Мой первый телескоп: Sky-Watcher 707AZ. Выбираю второй и окончательный. Место всегда одно: на краю города, ближайший фанарь в 20 метрах. поскольку, по его словам, ньютоны больше для Deep Sky, а это не при моей засветке. Так какой телескоп из этих 3-х лучше для наблюдений планет в городе? Добрый вечер! Sky-Watcher Startravel-120 (AZ-3) (f/5) точно отпадает – по планетам заметен сильный хроматизм. Sky-Watcher SkyMax 102 EQ2 неплох, однако всё же с 70 мм я бы переходил уже на что-то большее – минимум 130 мм. Ньютоны подходят для всего – и для планет, и для дипскаев – главное, чтобы оптика была хорошая, а в этом телескопе она такая (зеркало парабола). В идеале – добавить, взять Sky-Watcher BKP150750EQ3-2, но он может быть заметно дороже. Но он лучше по механике. Доброго вечера, Star Hunter. Прочитал все комментарии и ваши ответы – восхищен вашим опытом! 1. Какой комплект окуляров с вашего магазина будут оптимальными для этой модели (с aliexpress боюсь, что качество может быть как у 6мм из комплекта)? 2. Не встретил в комментариях и ответах своей модели, у нее есть более – менее полные аналоги из уже прокомментированных вами? Например, очень похож внешне на SW BK1309EQ2, только у моего белая труба. И хотелось бы ваше подробное мнение о DeepSky DTF130x1000 EQ3/АТ-5. Здравствуйте. Спасибо за оценку моей работы. Зеркало сфера, но к параболе оно по форме ближе, чем тот же BK1309EQ2. На 130 мм Ньютоне самые ходовые увеличения по планетам – 160…200х (окуляры 6…5 мм). Увы, с недорогими окулярами нынче в РФ напряженка. Могу посоветовать Celestron X-Cel LX 5 мм – хороший, но дорогой окуляр. Как по качеству картинки Sky-Watche 58 гр – увы, не могу подсказать, не смотрел в них. Здравствуйте! Подскажите пожалуйста, какой телескоп приобрести в пределах 15тыс для школьника. Пока остановились на Sturman 1400150 и подходит ли он для обзора на балконе? Здравствуйте. Sturman 1400150 не советую, довелось поработать с таким телескопом – ужасный. В пределах 15 тыс – Sky-Watcher BK705AZ3. Легкий, компактный, простой в использовании, с хорошим изображением. Для балкона в самый раз. Здравствуйте! Телескопы Sky-Watcher BK 1149EQ2 и Sky-Watcher BK 1149EQ1 отличаются только монтировкой? Здравствуйте, подскажите, что купить ребенку 8 лет до 3500? Купили в “Дет.мире” galaxy tracher 60 smart teleskop – это что-то)) Буду сдавать, вот и думаю, что взять. Понимаю, что за такие деньги ничего хорошего не купить, но может есть хоть что-то. Ребенок хочет смотреть на звезды. Легкий, достаточно компактный, простой в использовании, качественный и с хорошей комплектацией. Да, дороже, но зато лучше. До 8к – телескопы хлам. Подскажите, пожалуйста: подарили телескоп Sky-Watcher 80/400 (без окуляров), как я понимаю, он есть в чёрном списке как Sky-Watcher BK804AZ3. Возврат очень проблематичный, нужно пересылать в другой штат со всякими проверками. Хотелось бы узнать Ваше мнение, насколько SkyWatcher 90/900 AZ3 лучше чем этот? По фотографиям, сделанным с помощью обоих телескопов в интернете, очень сложно сделать вывод о том, насколько же сильный хроматизм у моей модели. Где-то кажется, что очень сильный, на больших увеличениях планеты выглядят как яркие мутные пятна без единой подробности, где-то что более-менее для первого телескопа. Здравствуйте. Да, этот телескоп в черном списке из-за заметного хроматизма, но всё не так плохо. Хроматизм можно приглушить фильтром типа V-block или слабым желтым фильтром. Да и не по всем планетам он мешает. Например, у Марса и Сатурна мало синих оттенков, поэтому и хроматизм в глаза не так бросается. 90\900AZ3 – конечно, у него хроматика менее выражена, однако труба намного длиннее и пользоваться всё же удобнее коротким телескопом. 80\400 у меня был – это хороший инструмент для наблюдения звездных скоплений, ярких туманностей. Попробуйте начать наблюдения с ним, и даже если затянет и в будущем захотите купить телелскоп побольше – этот малыш не останется без дела. Будут вопросы – пишите, помогу. Что вы посоветуете ? Оптическая система у них разная , поэтому выбираем у кого меньше хроматики . Наблюдать будем всё от луны и планет до туманностей . Спасибо огромное за ответ . Подскажите где их можно купить . Или может есть лучше модели в том ценовом сегменте. Здравствуйте. Советую добавить и взять Celestron Astro Fi 5. Он легче и компактнее, чем Celestron Astro Fi 130, более устойчив, изображение в него заметно ярче, чем в Celestron Astro Fi 102. У меня самого такая труба, очень доволен, наблюдаю практически каждый вечер, за это лето уже около 23 наблюдений провел. Если же выбор только между Astro Fi 130 и 102, то 130 немного трясучий, от прикосновений и ветра трубу шатает. 102 более стабилен за счет легкой и короткой трубы. Но в 102 картинка тусклее, чем в 130. Для балкона лучше подойдет 102 (или Astro Fi 5). Они все без хроматики – и 130, и 102, и 5, т.к. система зеркальная или зеркально-линзовая. Хроматика есть в линзовых телескопах (без ED стёкол). Телескоп можете купить у меня 🙂 Доставка по РФ есть. От меня – консультации и поддержка в неограниченном количестве. Добрый день! Очень полезная статья. Сам я ни когда этим не интересовался, но дочка , 10 лет, хочет телескоп. В связи с этим у меня к Вам просьба. Что лучше купить Sky-Watcher BK 707AZ2 или Levenhuk Skyline 60×700 AZ, либо посоветуйте что нибудь в этой ценовой политике. Заранее спасибо. Здравствуйте! Могу посоветовать Sky-Watcher BK705AZ2. Он короче, чем BK707AZ2 на 20 см, для ребенка это будет удобнее. У меня самого такой телескоп, я им очень доволен. Простой в использовании и неприхотливый в обслуживании. Добрый вечер! Почитал ваши статьи и понял что вы очень любите это дело (астронаблюдения). И по этому хочу и именно у вас спросить о следующем: Я недавно стал обладателем телескопа bk 909 az 3 от производителя скайвотчер. Как правило,первое на что посмотрел это луна,чёткость оптики и окуляров меня поразили,в комплекте с трубой были окуляры 10мм и 25мм и диагональная призма. Когда я нашёл Сатурн я прыгал от радости как ребёнок хотя мне 30лет и 100 кг веса 🙂 и теперь меня интересует смогу ли я раскрыть потенциал этого телескопа с комплектными окулярами или мне нужно что то докупить для полного укомплектования? Линза Барлоу Celestron 2х с Т-адаптером, 1,25″ уже куплена. Заранее спасибо за ответ. Здравствуйте. Поздравляю с покупкой, хороший телескоп. От себя хочу посоветовать докупить несколько аксессуаров. 1)Диагональное зеркало 1.25″. С ним наблюдения будут удобнее, а качество картинки будет выше. 2)Обзорный окуляр 32 мм 1.25″. Подойдет для наблюдения большей части каталога Мессье. 3)Для планет, в принципе, связки 2х Барлоу + 10 мм вполне хватит. 4)Для наблюдения газовых и планетарных туманностей рекомендую OIII фильтр. Посмотрите пожалуйста это стоит своих денег? Добрый день, выбираю себе первый телескоп. На сайтах объявлений продаются (б/у) за смешные деньги Celestron PowerSeeker 70 EQ и BRESSER Venus 76/700 AZ. Какой из них предпочтительней. Заранее спасибо. Здравствуйте. 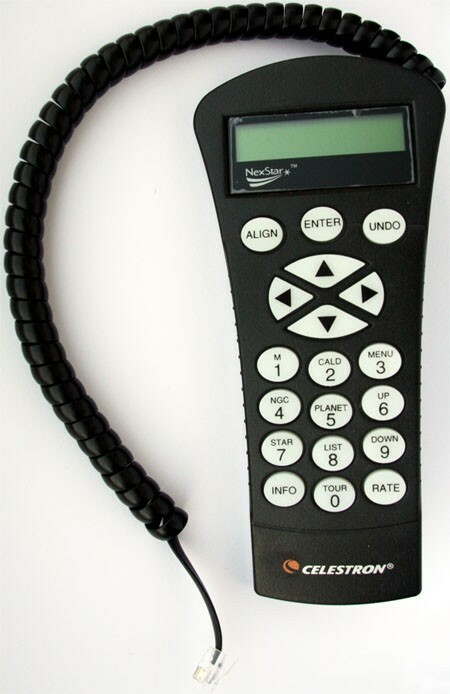 Я бы взял Celestron Powerseeker 70 EQ. С ним попроще удерживать объект в центре поля зрения, он неприхотливый в использовании. Под это описание и бюджет в приципе подходит наиболее советуемый Sky-Watcher BK909EQ2 или на AZ3. Как я понимаю, что при несколько большем весе и сложности экваториальная монтировка предпочтительней, так как позволяет наблюдать объекты в зените. Может есть более удобный для данных задач? Здравствуйте. Под ваши критерии еще может подойти Meade Infinity 90. У него труба короче, чем у BK909AZ3, монтировка такая же. В переноске будет удобнее. Однако у AZ монтировок есть недостаток – при высоте объекта более 50 гр труба начинает заваливаться, для исправления этого недостатка надо закреплять трубу в передней части монтировки, либо противовес небольшой вешать на трубу (например, спортивный утяжелитель). В переноске EQ монтировка, конечно, более громоздкая – надо с собой еще противовес тащить. Можно еще глянуть Celestron Omni AZ 90 и Celestron Omni AZ 102 – у них доступна околозенитная область, но с этой монтировкой я не работали не могу сказать, насколько она усточива. Но вариант весьма заманчивый. “очень слабая монтировка, хотя по оптике труба неплохая.”. Эта “очень слабая монтировка” может как нибудь повлиять на качество наблюдения (и если да, то можно что-то с этим сделать?, и стоит ли из-за этой монтировки отказываться от покупки? На качество картинки это не влияет. А вот на удобство наблюдений – влияет. В принципе, можно сделать из трех досок и диска “Здоровье” простую и устойчивую монтировку Добсона и установить на нее трубу. Тогда устойчивость будет намного лучше. Спасибо вам за совет! Просто бюджет не позволял купить альтернативу. Наконец-то я смогу смотреть на лунные кратеры, звездные скопления, и, возможно, туманности! Здравствуйте, дошел ли до вас вопрос о телескопе ТАЛ 120 ? Вроде отправился , а ответа не вижу. Думаю стоит ли его приобретать или он все-таки должен быть в черном списке? Здравствуйте. Дошел. Просто все комментарии публикуются с премодерацией. ТАЛ-120 не советую. Смотрел в такой, не понравился, картинка мутная на больших увеличениях. Спасибо большое за ответ, а все-таки посоветовали бы вы какой -либо из отечественных рефлекторов или лучше рассматривать продукцию SW? Лично мне ТАЛ-1 не нравится весом. В остальном – хорошая труба на устойчивой монтировке и с хорошей комплектацией. Китайцы делаюют неплохие трубы с качественной оптикой, но практически во всех случаях есть заметная тряска при прикосновениях к трубе во время фокусировки, ветра и т.д. Сделано это для уменьшения цены, потому что если комплектовать тот же 1149 монтировкой EQ3-2, а не EQ2, то цена будет намного выше. Из телескопов рекомендую присмотреться к Sky-Watcher BKP150750EQ3-2 – отличная труба на достаточно устойчивой монтировке. Подскажите пожалуйста, может имели дело с аксессуаром: диагональное зеркало Levenhuk Ra 1.25″ которое с диэлектрическим покрытием? Как он из себя? Можно ли брать? Здравствуйте. Именно с этой моделью не доводилось сталкиваться. Под какой телескоп берете зеркало? Т.е.взять трубу 800мм и все туда переставить? По идее да. Но лучше взять зеркало именно 650 мм. Либо б\у трубу с зеркалом найти. Фокусное расстояние можно увеличить за счёт увеличения длинны трубы или нет? Фокусное расстояние – это функция либо главного зеркала, либо линзы Барлоу. Если Вы хотите вставить зеркало с фокусным расстоянием 800 мм в трубу, расчитанную на фокусное расстояние 650 мм, то надо будет удлинять трубу, смещать оправу главного зеркала. Это не стоит всех заморочек. Подскажите, можно ли на рефлекторе synta nbk130650eq2 заменить сферическое зеркало на параболическое? Здравствуйте. Да, можно. Только сначала надо найти подходящее зеркало – например, от BKP130650EQ2. IMG_3326.jpg нашёл на али , подойдёт? Не пойдет – фокусное расстояние 800 мм, а надо 650 мм. Да и за такую цену вполне реально выловить б\у трубу 130 мм параболического Ньютона с оптикой. Скоро будет день рождение собираюсь покупать телескоп если денег будет немного то буду брать DOFFLER T76700, а если побольше, то bk767az1 можно узнать в чем разница? Знаю, что у DOFFLER посадочный диаметр 0.965 дюйма, а у bk767az1 1.25.. В чем разница может быть ? В качестве оптики? Доброе утро. Берите bk767az1. Он более качественный, а выбор окуляров 1.25 гораздо больше, чем у 0.965. Здравствуйте! Что вы можете сказать о Celestron PowerSeeker 50 AZ? Не рекомендую. Слабая монтировка, небольшой диаметр. Лучше добавьте и возьмите Celestron Powerseeker 70, либо Sky-Watcher BK707AZ2. А что в него можно рассмотреть. Просто он у меня недавно, а покупать новый не хочется. Но спасибо за ответ, в будущем обязательно куплю предложенный. Большое спасибо за ответ! Я только начинаю, и планеты с Луной я кокраз хотел увидеть! Ещё раз спасибо за ваш ответ! Я являюсь обладателем Levenhuk SkyMatic 135 GTA, есть возможность приобрести камеры Celestron NexImage 5 или Камеру цифровая Levenhuk T5000 PLUS посоветуйте, пожалуйста, что выбрать. Для лунно-планетной съемки она больше подходит. Спасибо за совет, и быстрый ответ. Sky-Watcher BK MAK127 AZGT SynScan GOTO и красный- ррц одинаковая примерно. соотв, скидку на оба дают одну только красного нигде нет вообще а тот есть. Да, Wifi реализуется одинаково. Но, если честно, точность наведения обычной AZGT меня разочаровала. Надеюсь, что AZGT Discovery должна быть получше. Sky-Watcher BK MAK127 AZGT SynScan GOTO (что про него скажете?) , правда про монтировку не в курсе , что отличается от красной особо. не взять по нескольким причинам- устаревшая система наведения с этим пультом, мне кажется, на вайфае с использованием моб гораздо удобнее. Именно исходил из монтировки с вайфай. У красной, которой нигде нет , пульт есть обычный. Не знаю можно ли встроить в него вайфай адаптер? Sky-Watcher BK MAK127 AZGT SynScan GOTO тоже неплох, но если цена на него такая же, как и на 127 Discovery – лучше взять Discovery. Если ниже – можно взять и AZGT обычный. Красный – который Discovery – http://star-optics.ru/product/teleskop-sky-watcher-star-discovery-mak127-synscan-goto/ – Wi-Fi реализуется при помощи внешнего небольшого блока. 2001EQ5 и 150750EQ3-2 наба балконе не очень удобны будут. Берите катадиоптрик. подскажите, думаю взять компактный вариант с вай фай установкой. Здравствуйте. А чего сразу не взять эту трубу на монтировке? Единственное – их сейчас в наличии нет. У этой монтировки есть и ручной режим, можно руками крутить монтировку. Не помню, есть у нее пульт или нет. Но монтировка однозначно крепче, чем обычная AZGT и SLT. Здравствуйте. Предлагают телескоп рефлектор тал-1 “Мицар”. Наблюдение как в городе, так и за пределами. Стоит ли брать его, или есть аналоги в разы лучше? Заранне спасибо! Здравствуйте. Если именно ТАЛ-1, то он весьма хорош. Главный минус – вес. Телескоп “Мицар” – старого типа, у него немного другая посадка окуляров, и зеркала, как правило, уже тусклые. Но зато он легче. Ну, за эти деньги можно взять новый Sky-Watcher BK1149EQ2. Я бы взял Powerseeker, т.к. у него есть микрометрический винт по высоте. Искатель на Astromaster 70 AZ – фактически муляж искателя. Celestron explorascope 70 az – фактическ тот же Powerseeker 70 AZ, только немного в другом корпусе. 80AZ тоже неплох, но весьма длинный и с ним тяжело удерживать объект на большом увеличении. Смотрите в сторону Celestron Powerseeker 70 EQ, Sky-Watcher BK705AZ3, BK909AZ3. Спасибо. Придется брать Mak 102. Надеюсь изображение качественнее будет чем у LCM 114 (Не зря он у вас в черном списке). Да, картинка в Мак 102 шикарная по планетам\Луне. В принципе, можно повесить на эту монтировку Шмидт-Кассегрен Celestron Omni XLT 127, труба около 2.7 кг – потянет. Но такой Шмидт будет дороже, чем Мак 102. Весь день искал но отдельно трубы xlt 127 нет нигде. Придется все таки Мак 102 брать, хотя хотелось очень и планеты наблюдать и deep sky расширить. Добрый день! Хотел бы поставить на монтировку от Celestron LCM 114 трубу покачественнее. Подскажите, можно ли на нее поставить трубу Sky-Watcher BK Mak127SP? Смущает разница в весе труб 2,4 против 3,5 кг. Здравствуйте. Я бы не рискнул – у нее заявленная грузоподъемность около 2.2 кг. Подскажите пожалуйста, как влияют кочки (черные точки) на главном зеркале. и можно ли с вами связаться по телефону? Был в Анапе мог и заехать. Может еще поедем. Здравствуйте. +7 900 269 сорок два сорок два. Whatsapp. Несколько черных точек на главном зеркале не оказывают влияния на картинку. Какой телескоп Вы бы посоветовали ребенку 7 лет для наблюдения за звездами с мансарды? Здравствуйте. Могу посоветовать Sky-Watcher BK705AZ2. Легкий, компактный, неприхотливый в обслуживании, качественный. Спасибо! Дочь потянуло в небо, надо обеспечить реализацию желаний)). Спасибо, а Celestron Advanced C8-SGT – я так понял, что эво относится к монтировке, у C8 монтировка нормальная или менять? Нормальная – тянет его без проблем. Celestron CG-5, если не ошибаюсь. Телескоп Celestron Advanced C8-SGT есть еще в кандидатах за 60 000. Склоняюсь к С8. Если с монтировкой, то отличный вариант. Его можно и взять. Но он будет габаритнее и тяжелее, чем 6 SE\EVO. Здравствуйте. Celestron NexStar Evolution 6 в пределах 70 000 р стоит брать или есть что более приличное? Желательно использование в астрофото и визуальные наблюдения. Здравствуйте. NexStar 6 Evo не может стоит 70 000р новый. Если б\у, то смысла брать именно Evo нет, т.к. эту трубу отлично несет и обычный Nexstar 6 SE. А вот восьмёрку да, есть смысл брать Evo. Для визуала и астрофото планет\Луны подойдет отлично. Подскажите, пожалуйста, ваше мнение о Celestron NexStar 80 SLT? Хочу для любительского наблюдения с ребенком, но выжать по максимуму. Здравствуйте. Неплохой телескоп. Пульт простой и интуитивно понятный. Новые такие телескопы уже вроде не продают, только б\у. У монтировки могут быть проблемы с точностью автонаведения, надо тщательно выставлять уровень горизонта. 1) Я не могу найти инфы – у него фокусер реечный или крейфорда? 2)тянет его нормально для визуальных наблюдений и астрофото планет\Луны. Для астрофото туманностей лучше использовать более легкую трубу, либо заменить монтировку на более грузоподъемную. А не подскажите, почему для астрофото дипскай объектов нужна более грузоподъемная монтировка? В чем принципиальное отличие астрофото планет и туманностей? Я вычитал, что производитель скайвотчеровских монтировок EQ5 HEQ5 и EQ6 задает следующую грузоподъемность для них: 10, 15 и 25 кг соответственно, а для астрофото эти показатели нужно делить пополам! Я не понимаю, как грузоподъемность монтировки может уменьшиться, если мы просто используем телескоп не для визуала, а для фото? Это примерно, на мой взгляд, тоже самое что и “какая грузоподъемность этого лифта? Если для русских – 200кг, а для грузин делите пополам – 100кг!” Вот как, в зависимости от того, кто едет в лифте, может измениться его грузоподъемность?))) И, если уж на то пошло, – есть в продаже Труба оптическая Sky-Watcher BK P250 OTAW Dual Speed, с двухскоростным фокусером, специально заточенная под астрофото (по заявлениям производителя), вес которой 14,5кг. Но получается, что мы не сможем её использовать даже с самой грузоподъемной монтировкой EQ6, т.к. 25/2=12,5кг! Скажите, где логика? Заранее спасибо. Для астрофото надо брать монтировку с запасом, чтобы было поменьше бракованных кадров. Можно и 250 мм трубу повесить на EQ5, но тряска и шатание будет очень сильное. Представьте – на протяжении нескольки минут телескоп должен вести трубу с такой точностью, чтобы при фокусе 1000 мм звезда не сдвинулась даже на пару пикселей. Для 254 мм трубы надо уже AZ-EQ6. EQ6 потянет, но будет тяжко и парусно. Добрый день. Вопрос про 13065. Эти аппараты смогут работать по планетам только с диафрагмой. Я правильно понял? А по дипскай они и так хорошо работают? Наблюдать планирую в городе с балкона. Или не заморачиваться и взять 767? Здравствуйте. Параболические телескопы типа Sky-Watcher BKP130650EQ2 работают без всяких диафрагм. Светосильные сферичческие Ньютоны тип Synta NBK130650EQ2, Celestron Astromaster 130 EQ – да, лучше будет работать с диафрагмой. Для наблюдений с балкона лучше взять рефрактор или катадиоптрик – ньютон будет неудобен. cls? Надо брать телескоп с маркировкой BKP130650EQ2 – у него должны быть тонкие растяжки. На авито вроде продавали недавно NBK130650EQ2 под видом BKP130650EQ2. Будьте внимательны. Дрова. Не брать. См. черный список. То же самое, что и BKP130650EQ2. Можно брать. Насчет вопроса о монтировке уточню, я видел вы писали о них для 9.5, я имею ввиду если найти допустим от 8se или другой линейки. От 8 SE монтировка никак не потянет трубу 9.25. Она еле тащит 8 трубу. Спасибо за советы! А если купить 9.5 и поменять монтировку? я так понял что у него довольно приличная монтировка и скорее всего ее купят довольно быстро, или кто то захочет поменяться на азимутальную, подходящую мне. Какую в этом случае мне рассматривать монтировку, какая подойдет? я правильно понимаю, что азимутпльная будет намного легче? изхожу из того, что на сайте селестрона вес 9.5 на азимутальной около 25 кг, а на эквотариальной 45. Ну, это лишняя возня. Можно сразу взять комплект в сборе. Понравится – отлично. Захотитет азимуталку – возьмите потом азимуталку, а эту продадите. https://astronomy.ru/forum/index.php/topic,163647.0.html – вот такой вариант продается, что скажите. Думаю можно поторговаться, да и поехать посмотреть есть возможность. Очень вкусный вариант за свою цену. Новый аналогичный комплект около 180к стоит. Однако будет ли удобно на балконе с экваториалкой – не уверен. Меньше, легче, компактнее, удобнее. Для дипов 9.25, конечно интереснее, но цена и габариты. Большое спасибо! А между 6 и 8 принципиальная разница? Для 9.5 какую монтировку выбрать? Между 6 и 8 разница в весе и габаритах. 6″ – около 4 кг, 8″ – около 6 кг. По яркости картинки при одинаковом увеличении – в 8″ картинка ярче в 1.8 раз. По разрешению разница на треть. Заметно, но не так сильно, как между 5 и 8 (пятёрка ШК у меня тоже есть). Под 9.25 надо хотя бы EQ5, а еще лучше – HEQ5. Из азимутальных монтировок под 9.25 можно HDAZ взять, но у нее нет микрометрических винтов. У немцев вроде была какая-то мощная монтировка. Ну или не париться и взять 6 SE – будет сразу и GoTo, и компактно. Б\у в районе 50к они пролетают. Наблюдать хочется и планеты и ds. Здравствуйте. Я на балконе использовал Шмидт-Кассегрен Nexstar 8 SE. В принципе, в бюджет укладывается новый Nexstar 6 SE. Б\у недавно на барахолке продавали Celestron 9.25 за 55к. К нему монтировку взять хорошую и будет супер-вариант. Также б\у вполне можно выловить Celestron CPC800, но у него труба несъемная. Брать именно рефрактор, чтобы высунуть трубу за пределы балкона, смысла особо не вижу, т.к. надо делать в любом случае очень длинную бленду, а уж если атмосфера паршивая и идут тепловые потоки, то без разницы – рефрактор, ШК и т.д. Доброй ночи! Посоветуйте пожалуйста, какой телескоп выбрать (кроме рефлектора, не хочется возле открытого окна на 12 этаже крутиться) для балкона/окна, учитывая тот факт, что балкон большой, как вдлину так в ширину и поэтому размер телескопа не критичен. Грубо говоря, есть пространство 3 на 3 метра. Есть ли смысл брать длинный рефрактор, а именно 120ed апохромат, с целью выноса части трубы на улицу, сантиметров на 30-40 ну или больше если позволит длина трубы, что бы минимизировать турбулентность от здания или эффект будет такм же как и при использовани ШГ, который не будет выглядывать наружу за пределы окна? И вообще есть смысл брать телескоп для таких условий или это будут деньги выброшены на ветер? Сам балкон выступает овалом от здания на пару метров, шириной метров 10, полность остеклен, от пола до потолка, несколько открывающихся окон, перед зданием высоток нет до горизонта, засветка приличная, на данный момент, в течении продолжительного времени, каждый вечер визуально наблюдаю юпитер и венеру. Город Ставрополь. В бинокль даже удалось увидеть две точечки у более большой точки – юпитера, насколько я понял спутники. Бюджет до 100к. Заранее извиняюсь за столько вопросов и спасибо! Ну и психологический порог цены в этом диапазоне, соответственно. Желательно для нас такой телескоп, который ещё долго будет пользоваться популярностью в семье, то есть рассматривать хотим не только планеты. Хочется такой аппарат, который в будущем можно будет усовершенствовать при желании. Ну и какую-то роль играет, конечно, удобство использования. Либо, может быть, вы посоветуете что-то от себя, может быть я что-то упустила? Прошу совета с выбором, уже 2 недели не могу определится, а день рождения уже так скоро… Спасибо! Добрый деннь. Из всего этого списка я бы посоветовал либо Sky-Watcher BK 909EQ2, либо BK P13065EQ2. Перый – проще в использовании и лучше походит для балкона, второй больше подойдет для двора и немного сложнее. Пожалуй, всё же линзовый телескоп (Sky-Watcher BK 909EQ2). У него окуляр сзади находится, ребенку будет удобнее смотреть. Либо Sky-Watcher BK 909AZ3, но у него может труба заваливаться, если высоко навести. И диагональную призму надо будет заменить на диагональное зеркало. А Вам всего хорошего, Вы мне очень правда помогли. Пожалуйста. Можете попробовать у немцев заказать. Кстати, у них такой телескопчик – как BK909EQ2, но на более крепкой и совершенной монтировке. Здравствуйте Руслан. Помогите пожалуйста мне советом что лучше купить. Я собираюсь на юг и планирую взять с собой телескоп что бы поснимать туманности, галактики, скопления, ну и планеты. У меня есть камера QHY5P-IIC( правда без ИК фильтра увы разбился) но нет ноутбука. По цене ноутбука б/у можно взять фотоаппарат Canon 600d тоже б/у. Но вот что взять решить не могу, может вы сможете подсказать? Здравствуйте. Рекомендую взять б\у Canon 550D. Он универсален, подойдет для съемки и дипскаев, и планет. Canon 600D тоже неплох, но по планетам он всё же хуже, т.к. разрешение записи выше, компрессия сильнее получается. Можно еще б\у 60D поискать – он пишет видео, как 550D. 2. Celestron NexStar 4 SE Telescope: Price is $735. Hello! 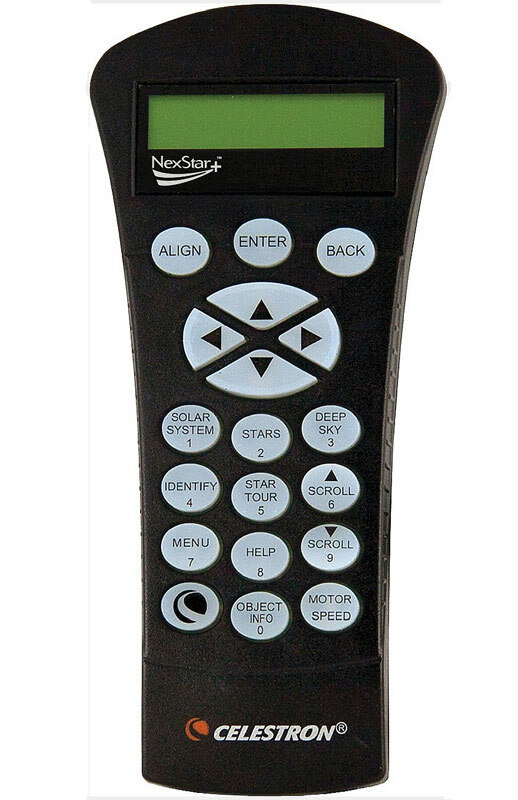 I recommend Nexstar 4 SE. It has bigger aperture (28% of brightness at same magnification), external eq wedge and more simple handcontrol menu. Добрый день! Уже несколько месяцев выбираю телескоп и никак не могу определиться. Бюджет около 25 тысяч рублей, можно и меньше, но точно не больше 30. В приоритете – дальний космос, но и СС тоже хочется видеть в неплохом качестве. В общем, задача – за мой скромный бюджет насладиться покупкой и рассмотреть как можно больше деталей всех объектов неба. Габариты тоже играют не последнюю роль – передвигаться с телескопом, скорее всего, придётся без машины. Никакой астрофотографией, естественно, заниматься не планирую. Буду очень признателен, если вы сможете помочь такому дилетанту! Добрый день. Извиняюсь, был в отъезде, не было доступа к сайту. Ответил Вам в вк. В принципе, при требованиях к габаритам, Celestron Omni XLT AZ 130 – неплохой вариант, т.к. труба легкая, короткая, а монтировка весьма транспортабельная. Единственное, что меня смущает – монтировка. Насколько она будет устойчива при такой нагрузке. Спасибо, цена 100 у.е., я из кыргызстана у нас астрономия на 0. Случайно наткнулся на Ваш сайт захотелось в небо заглянуть (давняя мечта), выбора нет телескопы только на заказ, а тут этот подвернулся можно руками потрогать. Чего ждать от телескопа? За 100 у.е. – отличная цена. Можно брать. От телескопа ждать очень крупной Луны. Планеты будут небольшие, но у Сатурна будет видно кольцо, у Юпитера – полосы и 4 спутника. На Марсе – потемнения и полярную шапку, у Венеры и Меркурия – фазы. Если небо темное, то можно практически весь каталог Мессье найти – звездные скопления (как группы звёзд), туманности и галактики (у самых ярких видна форма). Здравствуйте Охотник, что скажете по поводу Levenhuk strike 115 plus, б/у в качестве первого телескопа? Привет! Труба вполне неплохая. Монтировка слабенькая, весьма неустойчивая. Если цена на него вкусная (до 10к), то можно брать. В противном случае лучше обратить внимание на Sky-Watcher BK1149EQ2. Здравствуйте. Подскажите пожалуйста как не разочароваться в детской мечте взрослому дяде )). Рассматриваю приобрести телескоп Levenhuk Strike 900 PRO – цена за 30 т.р. в комплекте много всякой “шелухи” для чайников, но интересует не это, а непосредственно зрительное качество неба. До этого сдал в магазин Levenhuk Skyline Travel 80 – чисто подзорная труба и монтировка дрожит от малейшего прикосновения. Но он без “шелухи”. Качество изображения по полю хороше, труба из-за низкой светосилы нетребовательна к окулярам. Тряска есть от прикосновения, но так, увы, почти на всех телескопах. Для каменной устойчивости надо пересаживать трубу этого телескопа на монтировку классом повыше – EQ3-2 или EQ5. Из минусов также хочу отметить небольшой хроматизм – слабый синий ореол вокруг ярких объектов (планет), однако визуально он не мешает. Он легкий, компактный, а за счёт короткой трубы достигается высокая устойчивость. Хроматизма нет. Пригоден для всех видов наблюдений – Луна, планеты, скопления, галактики, туманности. Простой и неприхотливый в обслуживании. У меня самого аналогичный телескоп (Mak 90), но из-за меньшего диаметра у него намного тусклее картинка и он больше подходит для Луны и планет. Здравствуйте. Извините, а как вы думаете, что какой телескоп лучше: Sky-Watcher BK 909AZ3 или Celestron PowerSeeker 114 EQ? Для балкона – Sky-Watcher BK909AZ3, BK909EQ2 или BK 90 Mak Eq1, для двора – Sky-Watcher BK1149EQ2 или BK909EQ2. Celestron PowerSeeker 114 EQ слишком хлипкий. оптическая схема: Максутов-Кассегрен а не Ньютоновской схемой уже минимум + 10000, стоит ли переплачивать? Добрый день. Да, по оптике он плохой – с наблюдениями планет можно будет попрощаться. Можно посмотреть еще телескоп Celestron NexStar 90 GT – 90 мм рефрактор с автонаведением, качественная модель. Так получается что дело не в рефракторной системе, а в качестве оптики конкретной модели? Да. Зеркало сферическое светосильное, с линзовым корректором. Этот самый корректор неполностью исправляет искажения главного зеркала. В других телескопах с корректорной схемой (Максутов-Кассегрен, Шмидт-Кассегрен) используется полноапертурный корректор и достигается полная коррекция искажений. А тот что советуете, как у него с астрофото? Что можете порекомендовать до 30000 с автонаведением, и механизмом слежения? Или тот что советуете оптимальный во свех смыслах? В телескопах с автонаведением 2\3 стоимости обычно составляет монтировка с электроникой. В принципе, любой телескоп с хорошей оптикой может использоваться для съемки планет и Луны – хоть с моторами, хоть с микрометрическими винтами. Если в планах астрофото туманностей через телескоп, то лучше всё же подумать об экваториальной монтировке и светосильном телескопе системы Ньютона – да хотя бы тот же Sky-Watcher BKP150750EQ3-2 (41 тыс) и к нему комплект моторов без автонаведения (15900р). Такой набор позволит вполне продуктиво снимать и планеты\Луну (после покупки линзы Барлоу 5х), и туманности\галактики\скопления (желателен корректор комы – дополнительный аксессуар, улучшающий качество изображения по полю). Недорогой телескоп с автонаведением подойдет для визуальных наблюдений, а также астрофото планет/Луны. Астрофото туманностей и других слабых объектов возможно на самом начальном уровне, так как сказывается вращение поля (особенность азимутальной монтировки и ступенчатое слежение за объектом. При наблюдении с балкона, пожалуй, наиболее важным критерем будет длина трубы и расположение окулярного узла сзади. Рефлекторы для балкона будут не очень удобны. Я думаю, 90 GT будет оптимальным выбором по соотношению цена\качество, а требовать от него возможность астрофото туманностей нет смысла – не тот уровень апарата. Что скажите про rbt 200мм? Здравствуйте. Плохой телескоп – зеркало сферическое светосильное. Пригоден только для наблюдений на низких увеличениях. Короче, муляж телескопа. Успел немного просветиться в ожидании. Как я понял главная проблема рефлектора в доме это тепловые потоки, а закрытая труба рефрактора от этого меньше страдает. А как известно, лучшим телескоп тот, в который чаще наблюдают. Да в настройке и содержании рефрактор проще. А вот по поводу хроматизма. Как сильно он заметен? В астрофотографии как я предполагаю от него избавление только в редакторе ретушью. Использование планируется как дома так и на улице. Что взяли бы вы? Здравствуйте, задумался о покупке телескопа. Как говорится для себя и для потомков. Чтобы не брать игрушку выбор уже стоит перед BKP1149EQ2 и BK909EQ2. Но про первый везде пишут что не удобен для домашнего использования на балконе, но я как-то себе слабо представляю чем. Балкон маленький, а тебе нужно поместить туда рефрактор (который советуют для балкона) и самому поместиться на обратной стороне телескопа. С рефлектором ты стоишь рядом. Вроде как удобнее должно быть. Или я чего-то не понимаю. Плюс немного огорчает хроматизм рефрактора =((а он еще и дороже на 50уе) Я как понимаю он сильно заметем в сравнении с рефлектором. Плюс вопрос про астрофото. Как я понимаю на рефлектор сложно поставить камеру зеркальную. А что с беззеркальной? Как она станет на оба телескопа? Ну и последний вопрос. Что стоит докупить к стоковому комплекту на оба варианта? Что из требуемого можно найти на али (желательно зарекомендованные модели). Для балкона лучше либо рефрактор типа BK909EQ2, либо зеркально-линзовый Sky-Watcher BK 90 Mak EQ1. У Мака нет хроматизма, короткая труба, но по туманностям\скоплениям\галактикам он будет не очень из-за сложностей с получением минимального увеличения. Рефлектор – да, рядом, но окуляр находится спереди – не очень удобно на балконе. Рефрактор можно хоть немного пододвинуть к перилам. Рефлектор 1149 + беззеркалка – пожалуй, надо пробовать – у меня на пределе удалось сфокусировать схожий телескоп и астрокамеру ZWO 120 MC, хотя там запас по выносу точки фокуса большой. С рефрактором или зеркально-линзовым телескопом фокус будет без проблем. Я выразился к сожалению не верно. Часть наблюдений я планировал вести через открытое окно. Но вот на астросайте увидел такое утверждение “В общем и среднем наблюдения планет с балкона (но не с закрытой или частично открытой лоджии или через открытое окно!) проигрывают по качеству изображения полевым наблюдениям (подальше от искусственных источников тепла).” Как его понимать? Если обстоятельства меня в любом случае выгоняют на улицу, то рефлектор предпочтительнее? Тепловые потоки с поверхности дома (при наблюдении с балкона) будут в любом случае мешать, если они есть. А могут и не мешать. Я снимал планеты с трех балконов (на юг, на запад и на юго-восток). Всё сугубо индивидуально и нужно набрать некоторую статистику наблюдений, чтобы понять, будет что-то от дома мешать или нет. Хроматизм хорошо заметен по Юпитеру, Венере, ярким белым звёздам. По Луне, Марсу и Сатурну он практически не мешает. Если уж он и напрягает, то лечится желтым фильтром, однако цветовой баланс меняется. «В общем и среднем наблюдения планет с балкона (но не с закрытой или частично открытой лоджии или через открытое окно!) проигрывают по качеству изображения полевым наблюдениям (подальше от искусственных источников тепла).» – всё же тут много факторов, чтобы такое утверждать. Я отлично наблюдаю и снимаю планеты со двора (частный сектор). С квартиры (балкон) – да, зимой возникали сложности, т.к. всё же с балконов теплый воздух идет, но надо пробовать. Рефрактор в любом случае будет предпочтительнее в качестве первого телескопа, т.к. он проще в использовании, у него лучше искатель и без проблем дружит с камерами. Однако в вашем случае я бы всё же поискал б\у катадиоптрик типа Celetron NexStar 4 SE (диаметр 102 мм). Для балкона он будет идеален по ряду параметров. Барахолки пролистал и ничего интересного нет. Тот же 909 вместе с минимальным комплектом потолок по цене. Да и наблюдения будут думаю уличные процентов на 90. Мучаться от выбора с хроматизмом и при этом смотреть кашу из окна как-то не правильно. Поэтому выбор между двумя. Да инструмент скорее всего уже на века. Для себя, детей, внуков. В таком случае либо Мак 90, либо рефрактор 90. У них оптика дольше прослужит. У рефлектора зеркало надо раз в несколько лет мыть. Спасибо за советы. Тоже пришел к такому мнению. А если дело сильно зацепит, то можно будет взять потом и рефлектор и посерьезнее чем 1149. Да, верно. После 90 мм есть смысл переходить уже на 200 мм и более. А небольшой телескопчик всегда будет с Вами – для быстрых поглядушек по Луне, планетам или ярким дипскаям. Добрый день. Посоветуйте какой из двух телескопов выбрать ребенку: Synta BK767AZ1 или Celestron AstroMaster 76 EQ (почти новый за 6000р). Насколько труднее наблюдать в Celestron AstroMaster 76 EQ? Сколько на него будут стоить кольца и искатель? Здравствуйте. Дря ребенка я бы всё же взял Sky-Watcher BK707AZ2 или BK705AZ2. Они проще в использовании, не нуждаются в юстировке, а BK705 еще и компактный. Искатель на Astromaster 76 EQ – около 1000р (с алиэкспресса), плюс крепежная площадка (около 500р), плюс кольца (1000…1500р). Тогда уж лучше немного доплатить и взять Synta NBK707EQ1 – рефрактор в кольцах. Доброй ночи! По Вашему совету купили Synta NBK707EQ1. Впечатления супер. В первую же ночь наблюдали Юпитер (полосы и пятно). Огромное Вам спасибо!!!!!! Здравствуйте! Очень рад за Вас! Ясного неба! В конечном итоге остановился на Sky-Watcher Dob 6″ (150/1200). Подскажите пожалуйста есть ли смысл покупать Celestron X-Cel LX 2.3мм, Или поискать просто 4мм? Здравствуйте. 2.3 мм будет избыточен. 4 мм по планетам оптимален. Большое спасибо. Дай вам сил и здоровья, чистого неба и новых открытий. Здравствуйте! Разумеется BKP1145EQ1 – у него зеркало параболическое. Добрый вечер, Star Hunter! Желаю купить телескоп для наблюдения за планетами и в принципе получать визуальное удовольствие от этого занятия, особых предпочтение нет, т.к. не рискую покупать наобум. Хочется от аппарата получить максимальную отдачу. Что можете посоветовать для начинающего? Цена вопроса тысяч 10-12. Заранее огромное спасибо за информацию. Очень жду вашего совета. Добрый день! Для планет всё же рекомендую немного расширить бюджет и взять Sky-Watcher BK1149EQ2. Для использования во дворе или на открытой площадке он будет удобен, а на балконе не особо. Если же бюджет ограничен, то тут выбор невелик – Synta NBK707EQ1, Sky-Watcher BK707AZ2, BK767AZ1. Все эти телескопы неплохо “держат” предельное увеличение по планетам и обеспечивают достаточно четкое изображение. Спасибо за совет. Возник еще один вопрос. В чем разница между Sky-Watcher BK1149EQ2 и Sky-Watcher BK1149EQ1? Разница в монтировках – EQ1 заметно слабее, чем EQ2. Лучше брать BK1149EQ2, т.к. лучше устойчивость. Счастлив, что вы так быстро ответили. Можно ли купить такие зеркала? Подскажите где? Замена зеркала или трубы предполагает покупку по сути нового телескопа? Но тогда уж проще на барахолке выловить трубу в сборе, а потом свою продать. Подскажите пожалуйста как можно исправить astromaster 130 eq? Смотрел видео, где предлагают использовать телескоп для наблюдениями за туманностями и галактиками. А при рассмотрении луны и планет вырезать диафрагму с отверстием 80мм. Поможет ли это? (кажется что должно). Хочется научится использовать его с большими увеличениями и яркостью. Полагаю, что вы можете подсказать и другие способы исправления дефектов. Возможно вы уже отвечали на этот вопрос. Длинный список вопросов-ответов, поленился читать все. Здравствуйте. Да, по галактикам и туманностям на низких увеличениях он еще сойдет, а вот с планетами всё плохо. Диафрагма поможет, но тогда увеличится центральное экранирование и контраст картинки упадет. В данном случае поможет только замена главного зеркала на параболическое с такими же параметрами, либо замена всей трубы на параболическую (Sky-Watcher BKP130650, Celestron 130 SLT), либо замена на трубу со сферическим несветосильным зеркалом (Sky-Watcher BK1149, Celestron Powerseeker 114). Celestron Stereo Binocular Viewer – это биноприставка которую думаю взять,судя по описанию там только сама биноприставка и кейс в комплекте, если выноса не хватит придется использовать свою ЛБ. И еще такой вопрос – где то читал,но не могу сейчас найти, что с помощью манипуляций с ЛБ получают три разных увеличения с одной парой окуляров. Это как? Видимо, что-то связано с разгоном Барлоу. Однако в случае с биноприставкой не советую особо разгонять Барлоу. Более того, обычно к биноприставке идет штатная Барлоу, которая не только увеличивает вынос фокуса, но и выполняет компенсационную функцию. Поэтому обычная 2х Барлоу может работать некорректно с биноприставкой. Добрый день. Что из перечисленного ниже посоветуете для преобразования? Любой из этих телескопов можете смело брать. Из самых бюджетных они самые неплохие. Спасибо, а как такие окуляры – Meade 40000 Super Plosl подойдут, не слишком дешевые? А то ведь надо 2-3 пары покупать. Можно и плёсслы взять – они неплохо работают и благодаря простой конструкции выдают хороший контраст изображения. Здравствуйте Руслан! Подскажите пожалуйста ,хочу на МАК180 скай вочер F-2700 диагональ на2″ с адаптером на 1,25″ взять биноприставку celestron, хватит ли тут выноса фокуса чтоб использовать без ЛБ,или только с ЛБ. Есть ЛБ 2х кратная? Привет! Скорее всего хватит, но будет слишком большой вынос фокуса – может сферичка полезть. Для биноприставки и планетных увеличений на 180 мм маке (270-300х) надо окуляры 9-10 мм. Если использовать со встроенной Барлоу 2х, то надо будет 20 мм окуляры. Идея – лунные фото хорошего качества, также наблюдения через камеру. Здравствуйте. Для астрофото Луны надо телескоп на моторизированной монтировке, желательно на экваториальной, чтобы не было вращения поля зрения, которое ограничивает длительность съемки. NexStar 8 SE всё же достаточно трясучий, для съемки лучше брать NexStar 6 SE, он и дешевле, и устойчивее. Телескоп Sky-Watcher Dob 10″ Retractable SynScan GOTO также подойдет, но только для открытых площадок (для двора). Более правильная альтернатива – Ньютон или ШК на экваториальной монтировке типа Sky-Watcher BKP2001EQ5. Здравствуйте!Мне ваш совет необходим-хочу приобрести телескоп,выбор пал на 2 телескопа(2001eq5 и доб12) подскажите какой по вашему мнению все таки лучше взять. Очень много прочитал информации на форумах и выбрать до сих пор не могу никак.с одной стороны апертура 300 очень заманчиво, но с другой многие пишут,что из за атмосферы особой разницы не будет между двумя апертурами и тем более монтировками.и встает вопрос все таки какой из этих телескопов лучше для визуала и для удобства?буду очень ждать ответа. Здравствуйте. Разница по картинке есть, и она огромная. Но для реализации такой апертуры надо темное незасвеченное небо. В 300 мм картинка в 2.25 раз ярче, чем в 300 мм. Для наблюдений дипскаев доб 12, разумеется, лучше. По планетам удобнее 2001EQ5. Если в планах лунно-планетная съемка и начальное астрофото дипов – берите 2001EQ5. Если только визуал, то можно брать Доб (если устраивают габариты, вес и есть доступ к темному небу). Если чисто визуальные наблюдения – конечно, лучше Добсон. При небольших увеличениях проблем не возникает, а вот при наблюдении планет сложнее. У меня самого был доб 12, с поиском особых проблем не было, и искатель, и окуляр высоко находятся. Есть смысл сразу брать добсон с GoTo, пусть даже меньше. Например, Dob 10″ Retactable GoTo. Здравствуйте, купил Levenguk SkyMatic 105 GT MAK за 30 т.р, повелся на скидку, подскажите не зря ли я купил, брал в подарок. Ещё раз спасибо. Подумаю. Удачи и чистого неба! Пожалуйста, и Вам удачной покупки! Я понимаю что апертуры много не бывает, и всего остального. а может взять одну трубу и самому на первое время соорудить Допсона. Это она: http://www.ieskaties.lv//description/Sky_Watcher_Explorer_150/750_(OTA)/2156/5/13 ? Слишком короткая труба будет для Добсона. Разве что в связке с треногой – например, от теодолита. Спасибо за быстрый и обстоятельный ответ. Подумаю ещё. Просто у меня самого BKP150750 (труба). Очень универсальный телескоп. Если в будущем затянет в серьезное астрофото – достаточно будет сменить монтировку на HEQ5, либо докупить моторы по обеим осям. Труба совместима с 2″ аксессуарами типа корректоров комы и 2″ окулярами. Качественный фокусер, намного лучше, чем в BKP130650EQ2. Возможность моторизации по обеим осям, бесконечные микрометрические винты по обеим осям (у BKP130650EQ2 – только по одной оси). Искатель лучше. В общем, плюсов весьма много. Доброго времени суток! Спасибо за обширные обзоры и советы по выбору телескопов. Для себя хочу остановиться на SW BK P130650EQ2, BK P150750EQ3-2 не потяну. Планирую в основном визуальные прогулки по Луне, планетам, дальнему космосу. Но смущает критичность этой модели по окулярам. Насколько подпортят картинку штатные окуляры, а также рекомендованные Вами с AliExpressa, 6 мм, 9мм на 66 градусов, обзорный 32 мм, ЛБ 2х? Имеет ли смысл zoom 8-24 мм? Или с такими окулярами никакого преимущества перед BK 909EQ2 не будет. Наблюдать буду за городом, засветки практически нет. Спасибо. Здравствуйте. Всё же советую еще подкопить и взять BKP150750, он будет заметно лучше по механике. Кроме того, если в планах есть астрофото, то у BKP150750EQ3-2 точно не возникнет проблем при стыковке с камерами. Критичность к окулярам – это не недостаток телескопа, а лишь следствие из его характеристик. Окуляры, конечно, работать будут даже дешевые, но качество картинки будет испорчено СОБСТВЕННЫМИ аберрациями окуляров. 6 и 9 мм 66 гр за свою цену работают весьма неплохо (но не идеально, как Celestron X-Cel LX 7 мм, например). 32 мм 1.25 – работает вполне удовлетворительно – у меня самого такой, проверял. Зум-окуляр для этого телескопа я бы брал в том случае, если есть необходимость в быстрой смене увеличения. В иных случаях лучше взять 16…18 мм и 9…12 мм окуляры – они будут наиболее универсальны по туманностям, скоплениям и галактикам. Для планет всё же лучше взять отдельный 3 мм окуляр, а не связку 6 мм + 2х Барлоу. Обязательно купите OIII фильтр, пусть даже самый недорогой – он значительно улучшает выделение туманностей на фоне неба. Вопрос к специалистам! Школе хотят закупить несколько биноклей и телескоп д=200 мм. Решили бинокли Celestron SkyMaster 15×70 штуки 3-4 по 8500 рублей. Так как к сожалению, выезды вряд-ли будут, то это стационар на крыше школы маленького города… Значит, нужны фильтры… Какие лучше в данной ситуации? То есть нужна небольшая консультация, что нужно дополнительно из аксессуаров, и примерные цены. Для обучения навигации по небу лучше взять бинокли полегче типа 8х40 или 10х50. Из 200 мм телескопов с возможностью модернизации могу посоветовать Sky-Watcher BKP2001EQ5, однако выгоднее сразу взять телескоп на монтировке HEQ5 (сразу с Синсканом). Астрокамер надо две – одну основную (желательно с большим сенсором – например, QHY163color или mono), одну на гид (QHY5L-II mono). В условиях засветки себя хорошо проявляют узкополосные водородные фильтры – я сам пользуюсь такими. Однако для них крайне желательна монохромная основная камера. Можно и с цветной снимать, но разрешение будет падать в 2 раза. к Sky-Watcher BK P2001 можно подцепить хорошую ccd-камеру?? Какая по вашему мнению оптимальна? И насколько она может добавить в звездной величине для наблюдения звезд, астероидов? Без складывания снимков? Или вопрос слишком широкий? Здравствуйте. Сейчас в продаже в основном CMOS, с низким шумом чтения. Из астрокамер оптимальный вариант – QHY163, либо ASI ZWO 1600. Для широкого круга задач лучше брать цветную камеру. Про добавление к звёздной величине…вопрос сложный, зависит от максимальной одиночной выдержки, а на это влияет монтировка, наличие автогида и уровень засветки. Для астрометрии переменных звёзд – пожалуй, лучше монохромную камеру брать. Для астероидов – тоже монохром, чувствительность выше. Рекомендую сначала попробовать в бюджетном варианте с зеркалкой типа Canon 450D. зашел на сайт Звездочета, там этих 2х БАРЛОУ куча, что лучше взять? приобрел SynScan GoTo для EQ5. подскажите нужно ли приобрести искатель полюса? у меня еще не распакован Sky-Watcher BK P2001EQ5, жду что бы чуть теплее стало. может какие то фильтры посоветуете? очень не хочется покупать как потом окажется не нужные примочки. Если не ошибаюсь, в Synscan есть функция установки полюса мира без искателя. А так – для быстрой настройки искатель, конечно, желателен. Бленду можно сделать из темного туристического коврика, либо купить грелку на диагональное зеркало. Красный фонарь – не пользуюсь. Юстировать можно с родной затычкой для фокусера, отверстие в ней сделать – получится чешир. Из фильтров – OIII фильтр хорош для туманностей. Для Луны – нейтральный серый фильтр GSO или НПЗ. Солнечный фильтр – купить пленку Baader Astrosolar Visual, корпус под фильтр сделать самостоятельно из донышка ведёрка. Из окуляров – зависит от бюджета. Для начала можно взять 32 мм плёссл, 17 мм плёссл и 2х Барлоу. Спасибо большое, идея ясна. Если удастся, возьму за 11 новый BK909AZ3, а потом может быть созрею и на MAK102. Добрый вечер. А что скажете о Meade EXT-90? За 12 тысяч можно взять с eBay, но не факт, что монтировка рабочая (там электропривод). Здравствуйте. Телескоп по оптике неплохой, однако лично мне пульты у Meade не очень нравятся. Можно немного добавить и поискать б\у NexStar 4 SE. Про монтировку понял, спасибо. Цена на нее даже б.у. около 10000 рублей, то бишь дороже ТАЛ1 с МТ1. А монтировка МТ1 совсем бедовая? И еще вопрос – недавно за недорого (около 10000 рублей) предлагался Clestron Nexstar 114 GT. Про корректор читал, тем не менее насколько допустим он как объектив? Монтировку эту бедовой не могу назвать, т.к. для наблюдений она вполне пригодна. Однако что-то тяжелое на нее вешать я не советую. Nexstar 114 GT – оптика никакая, монтировка еще хоть куда, однако тоже для легких труб. По ценам на EQ3-2 – увы, после падения рубля всё подорожало в несколько раз. Раньше было заметно дешевле. Я бы взял какой-нибудь б\у рефрактор типа BK909EQ2 или BK909AZ3. А NexStar 130? Вообще, трубы такого плана насколько удобны в качестве объектива? Про рефрактор. Дюже длинный 909й… Хотя цена заманчива. NexStar 130 с зеркалкой тоже не фокусируется, а также очень хлипкий. С беззеркалкой еще можно попробовать. Ньютоны в качестве объектива неудобные, т.к. обычно нет фокуса с зеркальной камерой у младших моделей, либо контраст низкий. Ну так Тал ненамного короче – около 80 см. Что же Вы такое удаленное снимаете с 800-3000 метров, если не секрет? Не секрет. Птиц, зверюшек, на другой стороне лимана, рек, в степи. ТАЛ1 безусловно длинный, но тяжелый. Это внушает надежду. 🙂 Опять таки, монтировка МТ1 позволяет достаточно точно наводить на объект, или я не прав? Или монтировка AZ3 тоже удобоварима? В руках телескоп толком не держал, может быть можно сдвинуть точку крепления телескопа к штативу/монтировке ближе к объективу, а под камеру установить второй штатив? Тогда прицеливаться будет проще. Или я ошибаюсь? Для съемки наземки однозначно удобнее не экваториальная, а азимутальная монтировка. Из бюджетных может подойти Sky-Watcher AZ3, она б\у где-то 4000р стоит, есть микрометрические винты под двум осям. К ней Мак 102 взять или 70 мм рефрактор, получится достаточно легкий и компактный комплект как для астронаблюдений, так и для удаленной съемки. Правда, светосила у Мака низкая, поэтому снимать только солнечным днем. Для птичек всё же желательно автофокус, пока будете резкость ловить – птица улетит. Ньютон для съемки наземки – нет и еще раз нет)) Понимаю, что дешево, заманчиво и т.д. А зачем оно надо, если для нужных целей оно не приспособлено? Помогите пожалуйста в выборе. Есть вариант купить мало б.у. ТАЛ-1 на монтировке МТ1, под окуляры 1,25″ за 9 тысяч рублей, и новый Synta MAK90EQ1 за 12 тысяч рублей. Основное предназначение это фото наземных объектов, звезды и планеты в перспективе. MAK90 подкупает портативностью, ТАЛ-1 массивностью, апертурой и происхождением. Но насклько он удобен как фотообъектив? Про проблемы контраста, термостабилизацию и “плоскую” картинку MAK90 наслышан, тем не менее. Мак 90 у меня есть – это клевый лунно-планетник 🙂 Качество оптики у моего экземпляра отличное, я даже облачка над Олимпом на Марсе заснял через него. С ТАЛ-1 я много лет работал, тяжеленный он. В качестве фотообъектива всё же темноват, даже для дня, с рук не поснимать. Для бытовухи лучше взять обычный линзовый телевик хороший с фокусом 300-400 мм. Линзовый телевик это рефрактор типа 909 или 70мм? Камер несколько, и Nikon D3100, Canon 500D Sony QX10, есть идея испробовать action камеру. С ТАЛом сфокусироваться не получится (скорее всего), т.к. вынос фокуса небольшой за пределы трубы – надо или зеркало поднимать, или менять фокусер, или Барлоу использовать. И снова здравствуйте, спасибо за помощь. Про фокусировку на TAЛ читал, преодолимл, больше смущает удлинение трубы фокусера: не знаю, насколько корректно относительно тяжелую тушку ФА вешать на него. Сам изначально склонялся к MAK90EQ1, в ТАЛ нравится цена, и монтировка (в дальнейшем на нее ведь можно ставить массивные телескопы. У EQ1 я так понимаю, особого запаса прочности нет? Для меня важна тонкая регулировка для наведения. И если таки мне удастся купить MAK102, то какую монтировку посоветуете, точную и с хорошим соотношением цена/качество? К сожалению, 450 мм мало что дает на расстоянии 800-3000 метров, даже Canon EF. Здравствуйте. Тушку вполне можно вешать, но возможен перекос под нагрузкой плюс люфт самого фокусера. Да, у EQ1 запаса нет, Мак 90 для нее предел. Ну, возможно, BKP1145, но всё равно на пределе будет и с зеркалкой плохо дружит. Мак 102 неплохо держится на родной EQ2, примерно так же, как 90 мак на EQ1. Из качественных бюджетных монтировок советую смотреть в сторону EQ3-2 – возможна моторизация по двум осям, нагрузка до 6 кг, возможна установка искателя полюса и т.д. Вполе потащит 150 мм Шмидт-Кассегре или 127 мм Мак, на пределе потащит 150 мм Ньютон. Какой из них стоит предпочесть для визуала и в перспективе астрофото? Здравствуйте. Ну уж точно не VMC200L – у него асферика напылением, качество оптики может быть явно не планетным. ШК более стабильны по качеству. Meade LT SC 8″ на азимутальной монтировке подойдет для лунно-планетной съемки. Я бы еще поискал Celestron CPC800, у него пульт понятнее и проще. Либо Celestron NexStar 8 EVO, либо Celestron NexStar 6 SE. Если в планах астрофото туманностей, то лучше смотреть в сторону телескопов системы Ньютона на грузоподъемной экваториальной монтировке. А можно поподробнее насчет Vixen? Судя по отзывам, у него качество должно быть лучше чем классический МК (поле, сферичка, кома). Или вы имеете ввиду именно разброс качества? Я имею ввиду разброс качества. Да и сама асферика ступеньками выполняется – это не очень хорошо. Без тестирования точно брать не следует. Чем обычный ШК не устраивает? ШК в общем устраивает, кроме разве что долгого термостаба за счёт закрытой трубы. А тут и термостаб быстрый и росы нет и комы (как пишут) нет и цена не большая. Но она видимо за счёт этого и не большая из-за QC. А как вы считаете, у какой фирмы наиболее качественный контроль на выходе (чтобы безопасно можно было брать без проверки)? Термостаб ШК решается выносом трубы 🙂 Летом с термостабом вообще проблем практически нет, а зимой да, я стараюсь за пару часов выносить на улицу. Роса будет на вторичке, куда ж без нее)) так что либо бленду, либо обогрев. Кома…Ну, если честно, меня кома не особо напрягает ни в светосильных Ньютонах, ни тем более в ШК (там она еще меньше). Добрый день. Если цена вкусная то можно покупать его и не париться. В черном списке он из-за толстых растяжек (снижают контраст по планетам) и сферическое зеркало (хоть и несветосильное, но могут быть проблемы с изображением на большом увеличении). Я в такой телескоп смотрел целое лето, неплох. Можно брать и не париться с переделкой. Спасибо. Но всё таки, в чём суть переделки и во что это станет? Суть переделки – заменить растяжки на более тонкие. Их можно сделать из металлической линейки. Необязательно, но желательно. Вот теперь понял!) Спасибо большое, будем брать! заказал в Германии Synscan, гораздо дешевле чем у нас. Что бы вы порекомендовали бы еще приобрести к Sky-Watcher BK P2001? может светофильтры или еще что? Я бы взял OIII фильтр для наблюдения туманностей. Либо 1.25, либо 2 дюйма. Это для HEQ5. У Вас EQ5. а есть различия между SynScan и SkyScan? если есть что лучше взять? Тогда однозначно Synscan от Sky-Watcher. Synscan мне кажется более простым и в то же время достаточно функциональным. С Брессеровским Go-To я сталкивался, не понравилось. К сожалению, я плохо понимаю в них, но хотелось бы порадовать свою деточку, может вы что-то посоветуете вне списка? Хотела бы добавить, что вначале будем смотреть с балкона, но потом хотела бы таки увезти летом за город. Я рекомендую немного добавить и взять именно BK705AZ2, либо BK707AZ2. Как вариант – Meade Infinity 70, фактически то же самое, но в другом цвете. Спасибо большое за ответ, что вы думаете о BRESSER VENUS 76/700, как то о нем отзывов практически не найду((, интересно, пишут что производитель немец…или он плохой? Фирма немецкая, собирают в Китае 🙂 Качеств одинаковое примерно. Если он дороже аналогичного Sky-Watcher – смысла тогда его нет брать. Всё же настоятельно советую обратить внимание на рефракторы. Для ребенка и для наблюдений на балконе они реально удобнее. Здравствуйте! Я бы присмотрелся к Sky-Watcher BKP130650EQ2. У него зеркало параболическое и труба короче. Sky-Watcher 909AZ3 или Synta 909AZ3, подскажите есть ли смысл платить больше за скайвотчер или они одно и то же, ну и как вообще телескоп? Здравствуйте! Фактически это одно и то же, просто разные названия. Телескоп достаточно неплохо, как по оптике, так и по механике. Однако для этой монтировки труба, на мой взгляд, слишком длинная и тяжелая. Плюс в комплектк 45 градусная призма, с ней неудобно наблюдать за небом – лучше сразу докупить диагональное 90 градусное зеркало. Привет. Вот хотел увидеть луну и планеты. Пока новичок в этом деле. Выпадает шанс купить вот такой телескоп Synta Acuter MAK-102EQ2 и Power Seeker 127 EQ1. Потому что есть проблемы с доставкой из россии. Какой из них выбрать? Здравствуйте. Synta Acuter MAK-102EQ2 неплох для планет. Power Seeker 127 EQ1 не советую – качество картинки у него отвратительное и для планетных наблюдений он непригоден совсем.